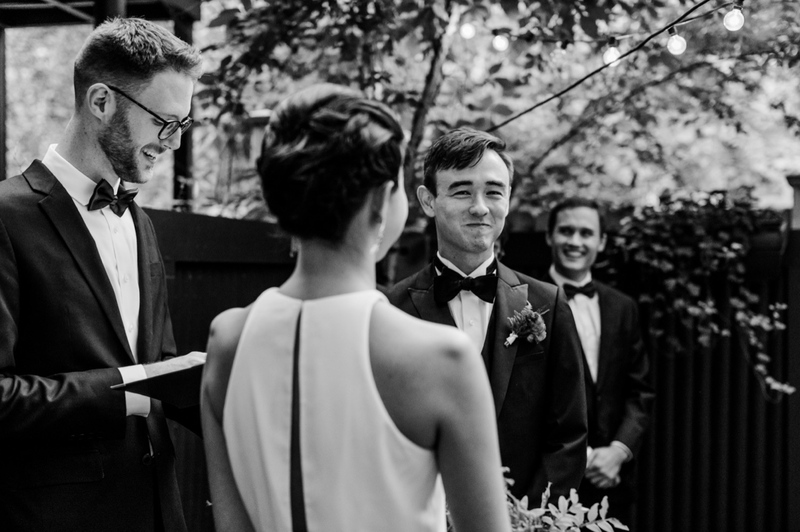 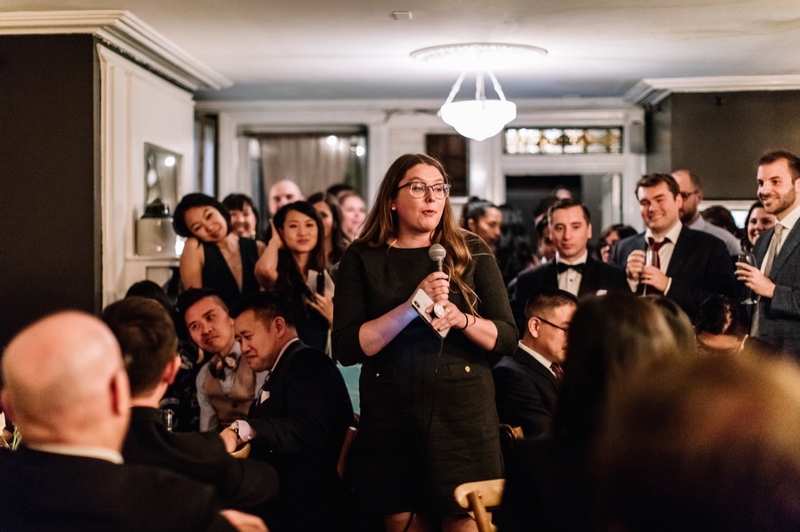 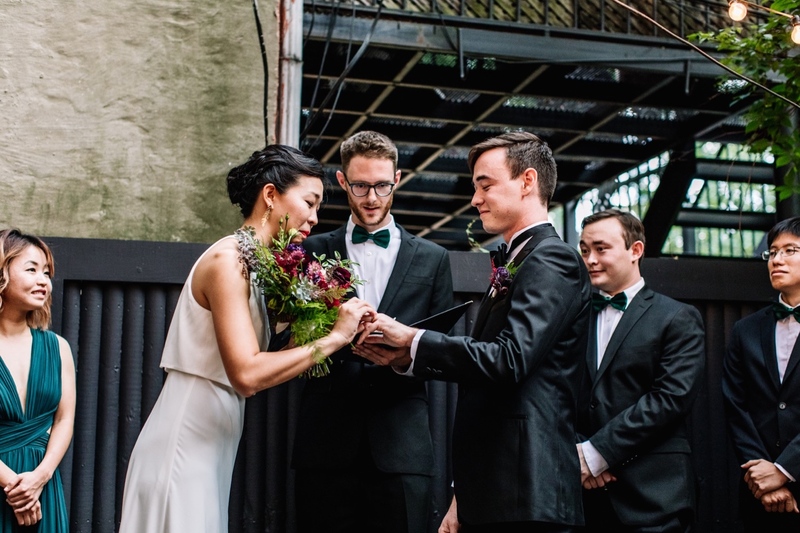 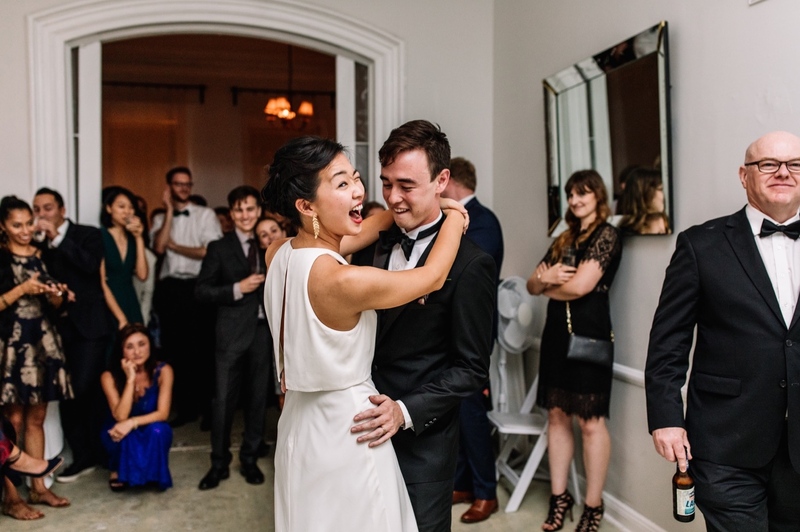 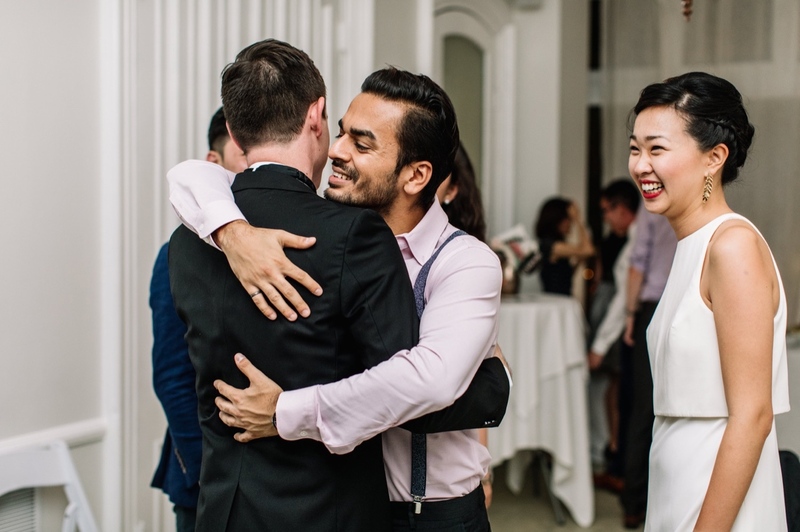 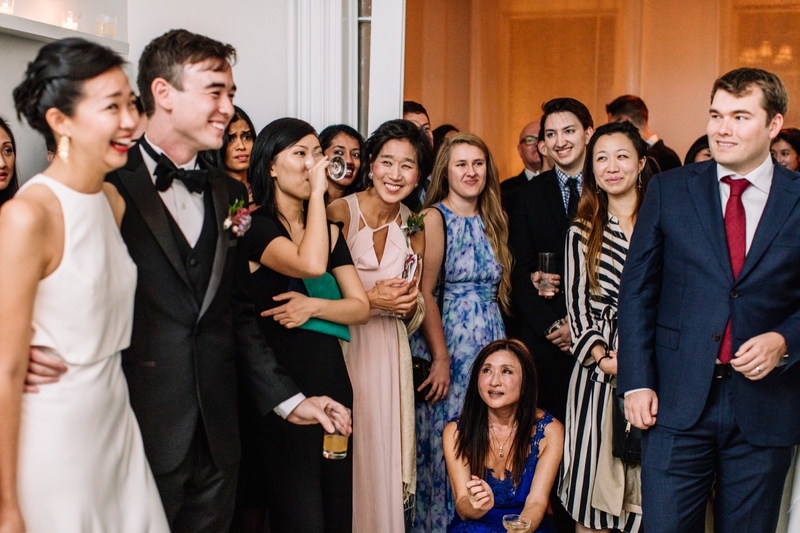 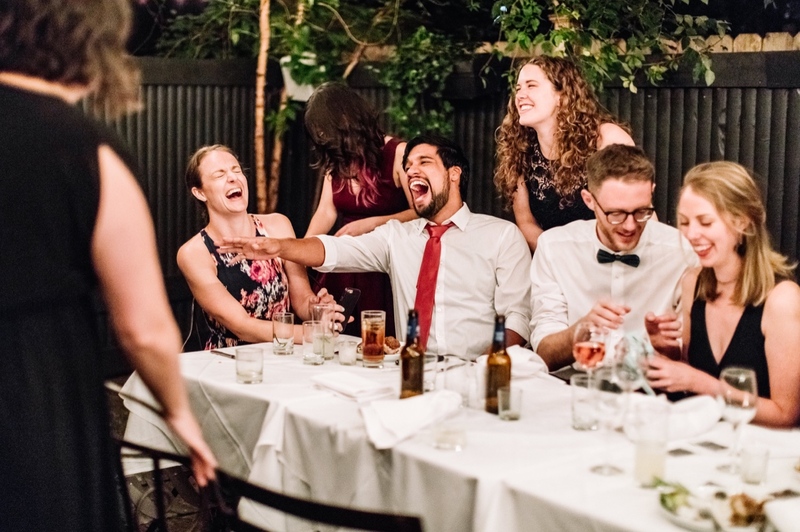 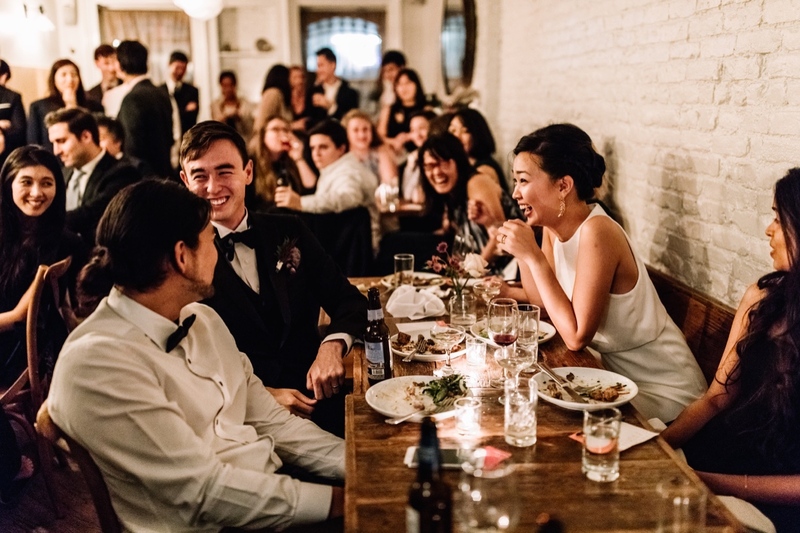 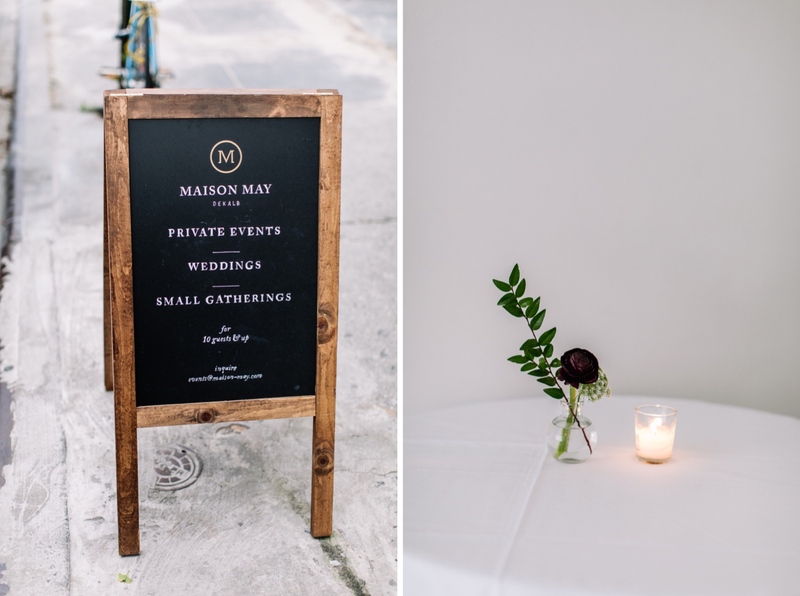 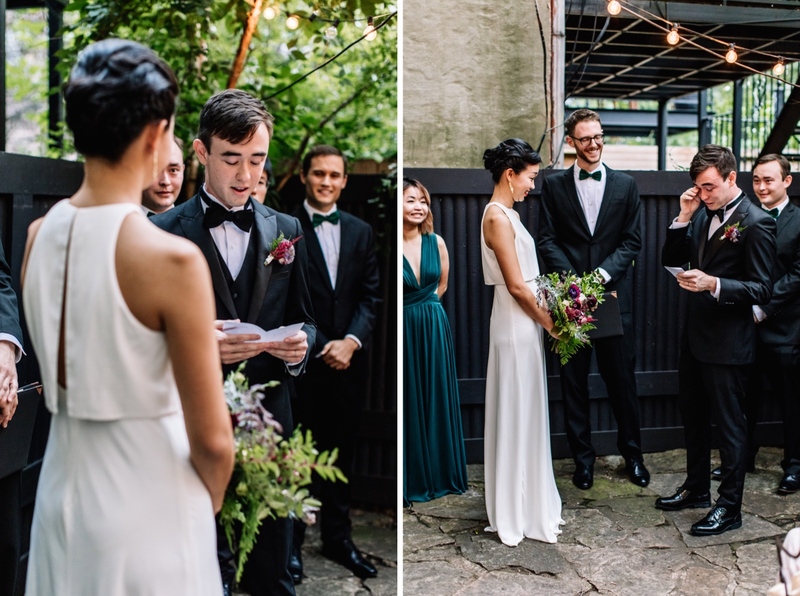 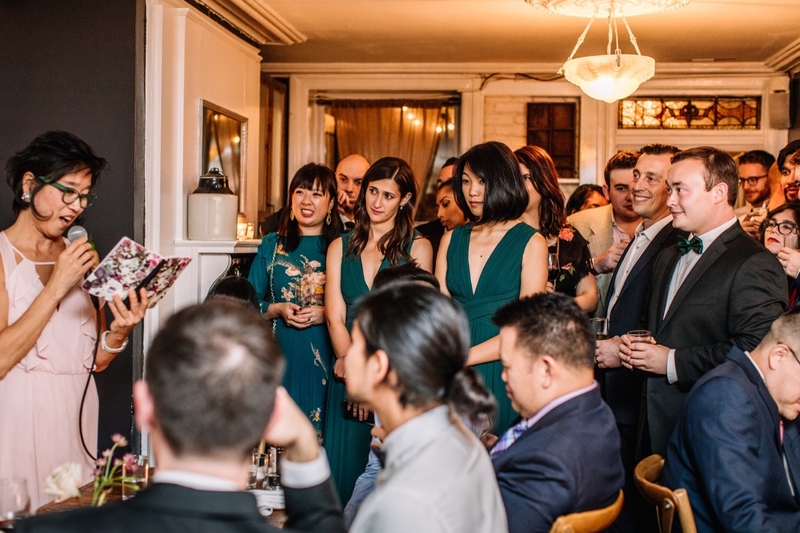 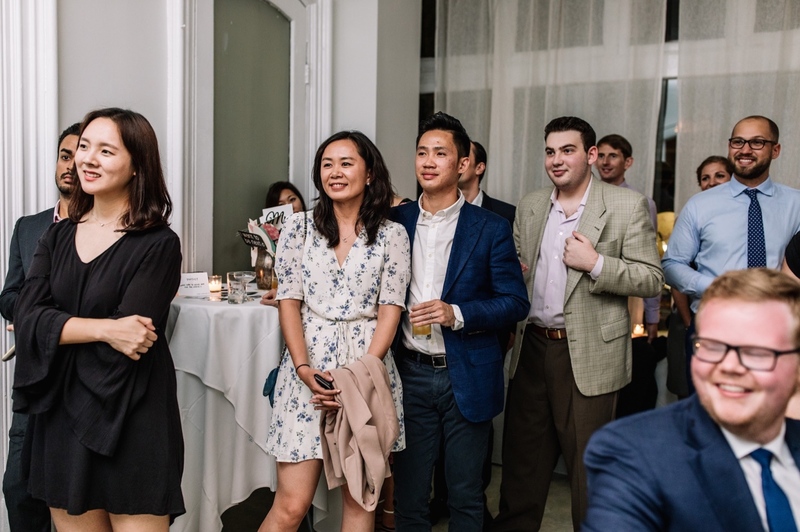 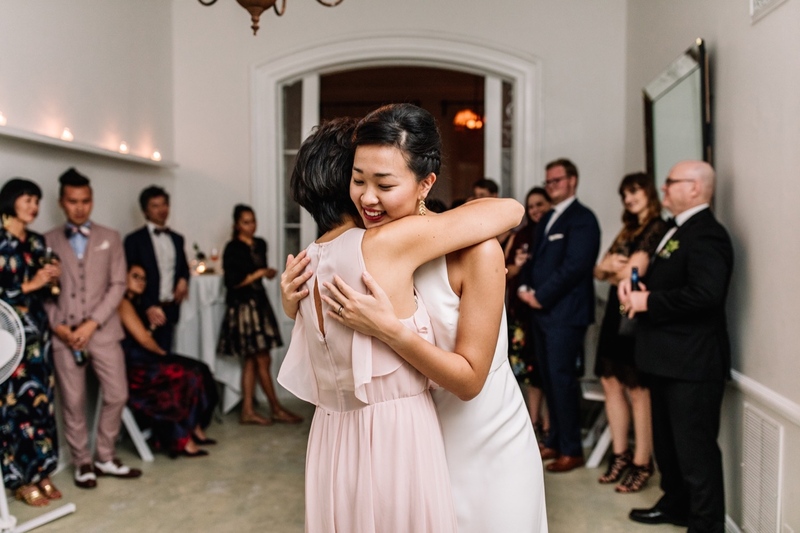 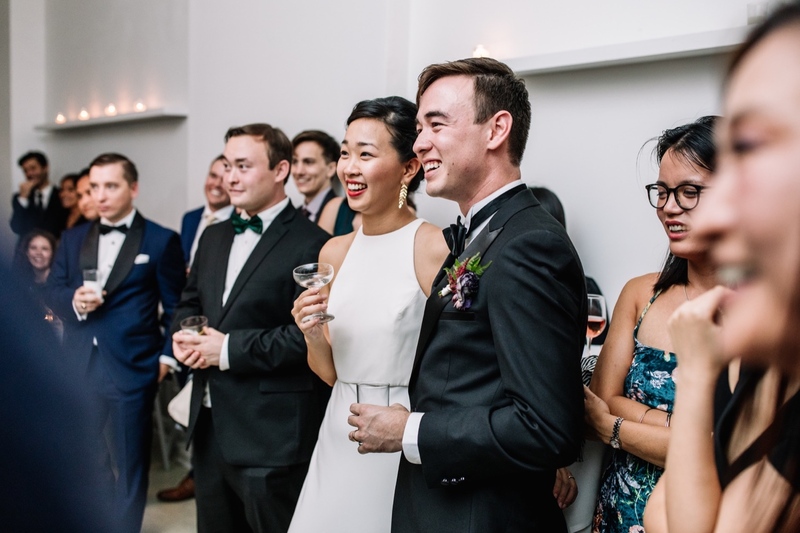 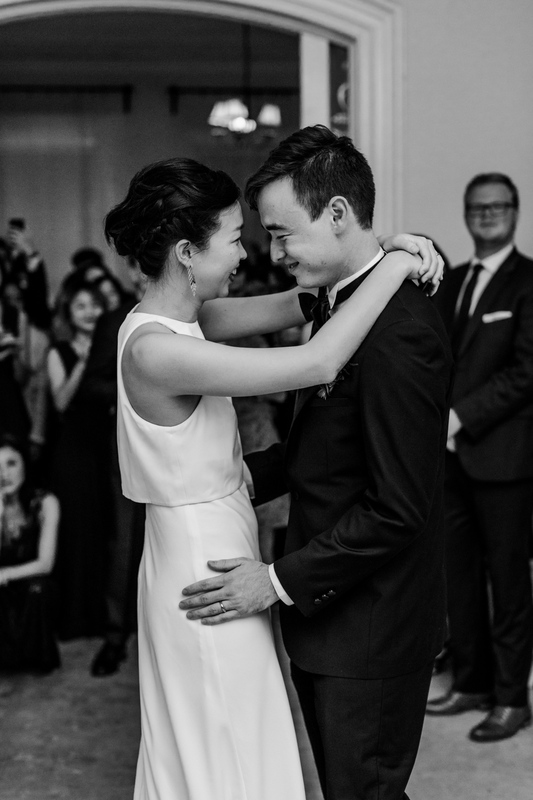 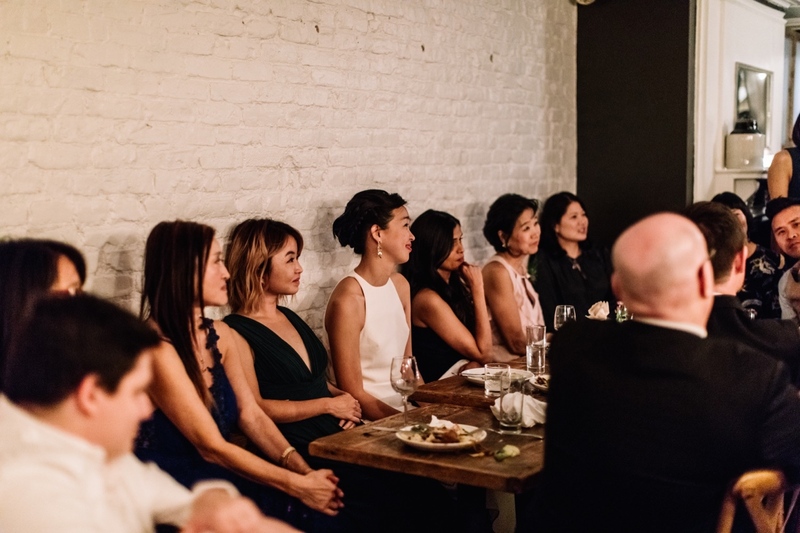 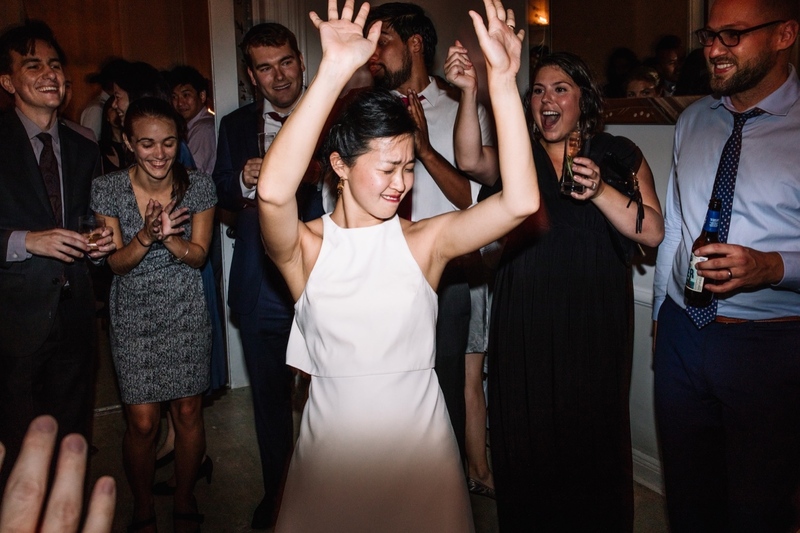 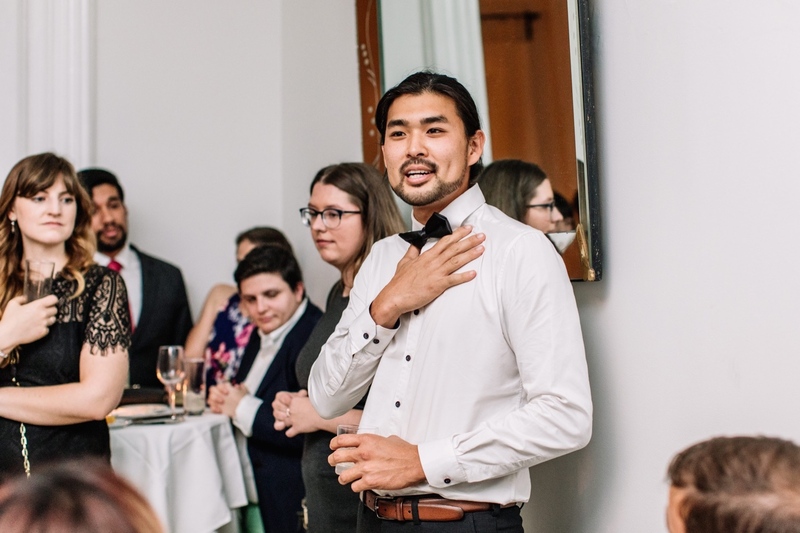 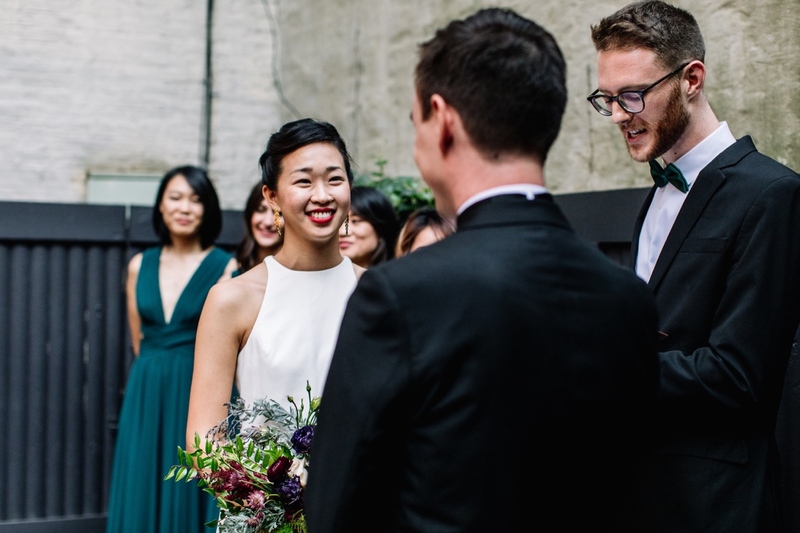 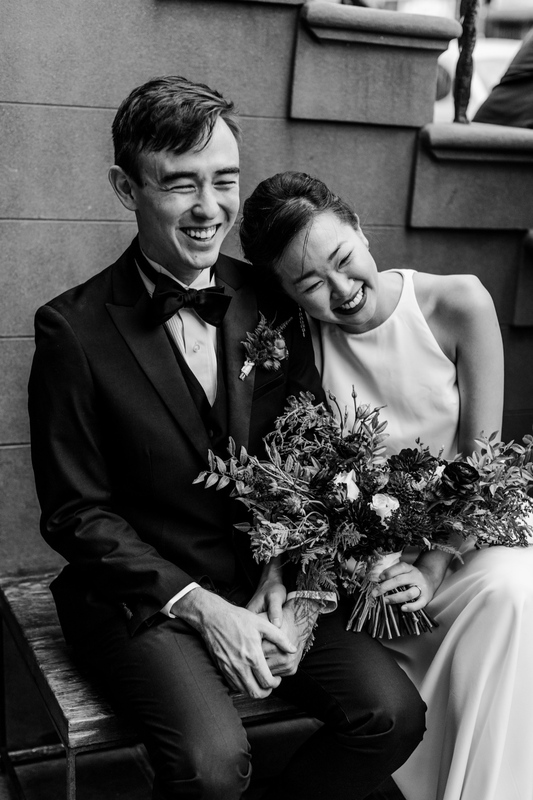 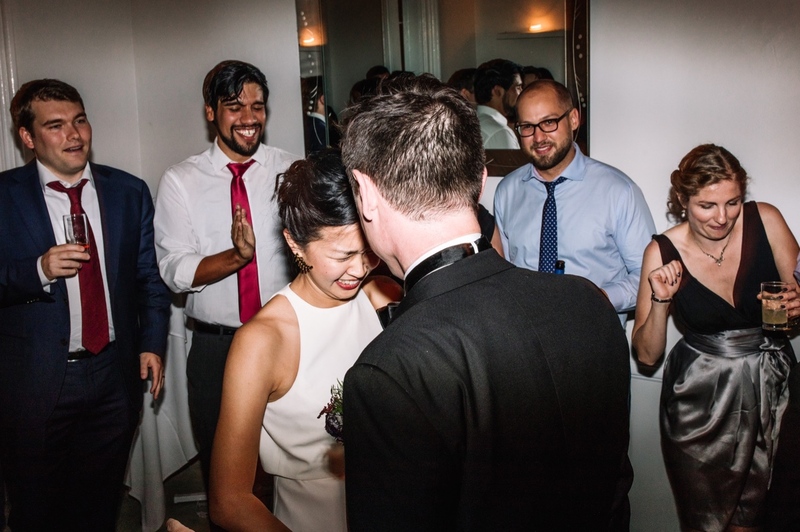 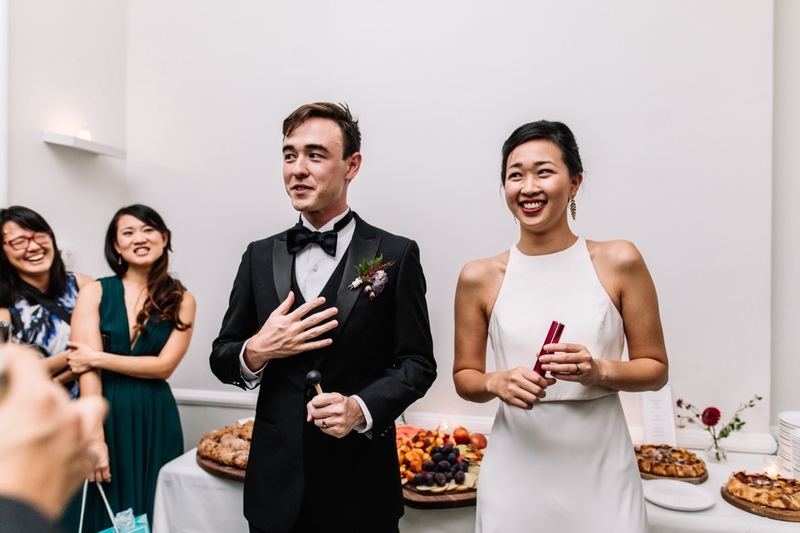 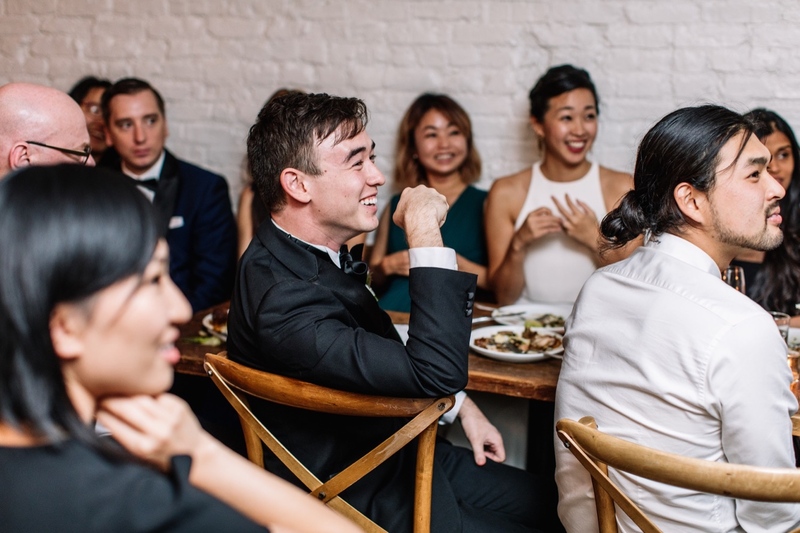 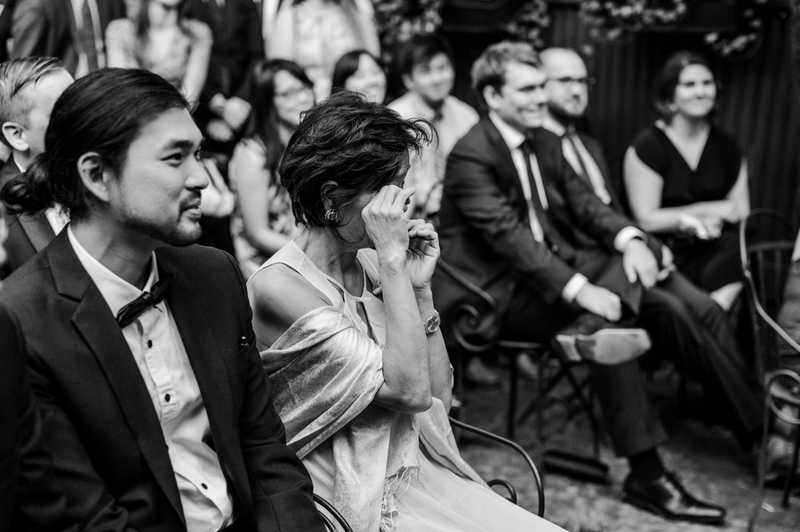 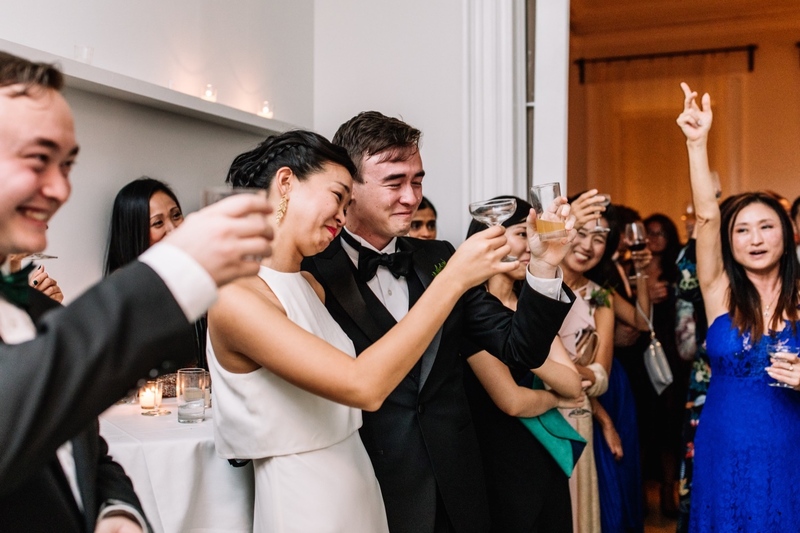 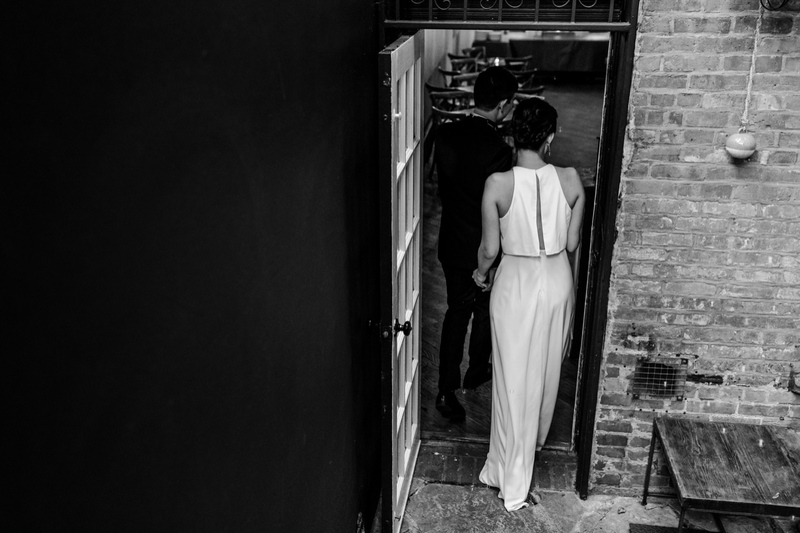 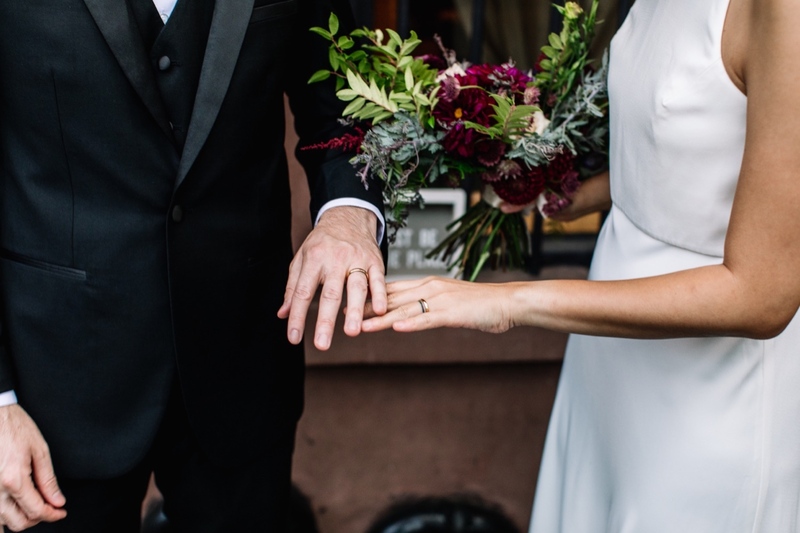 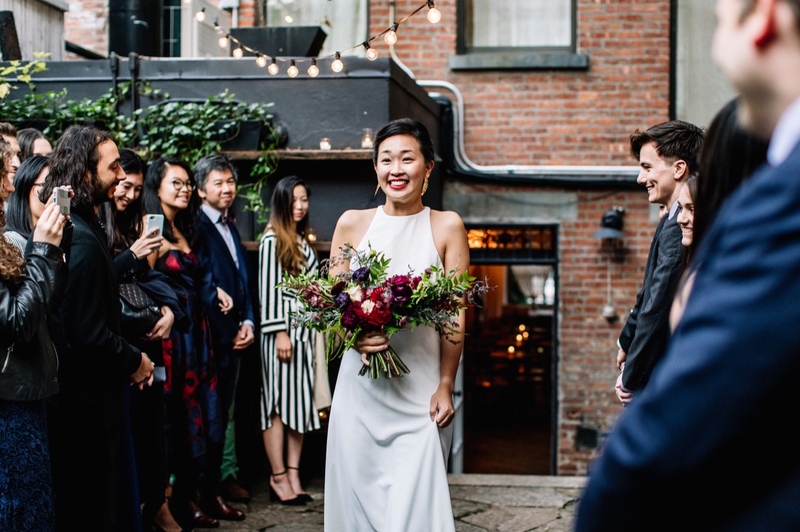 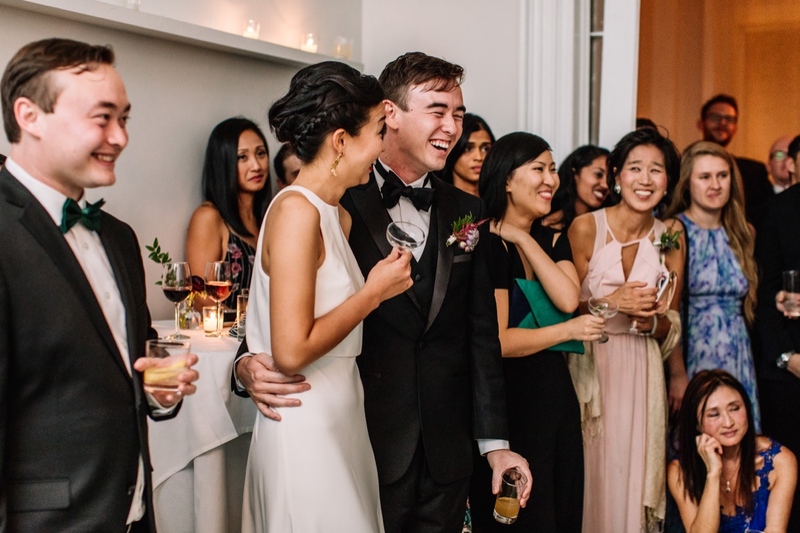 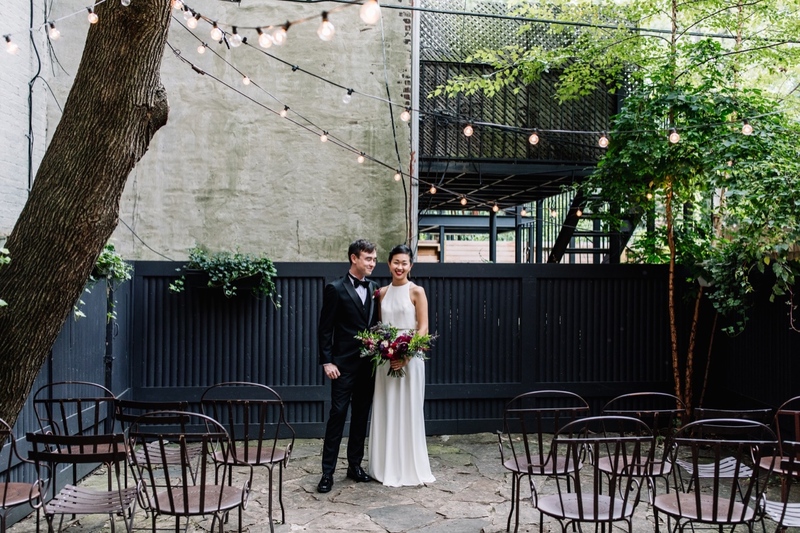 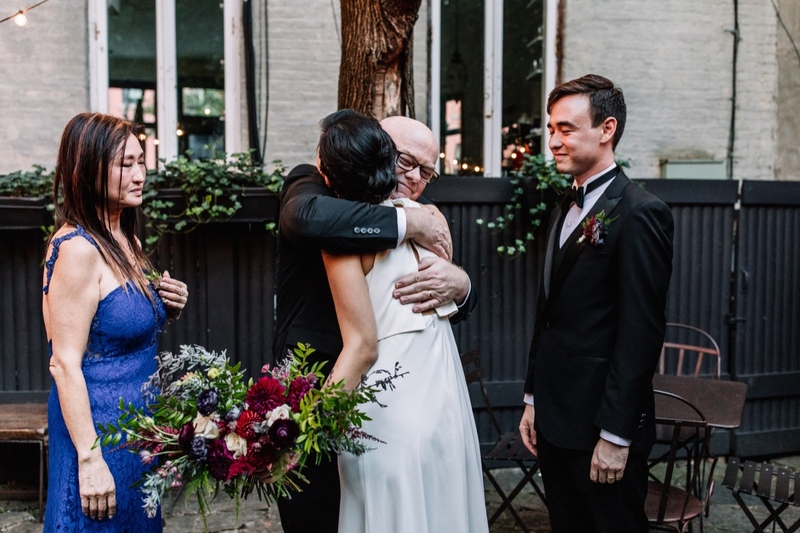 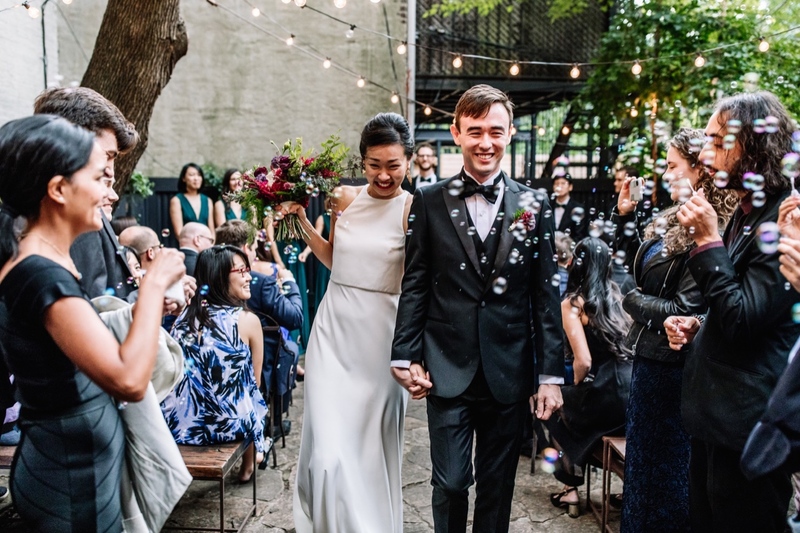 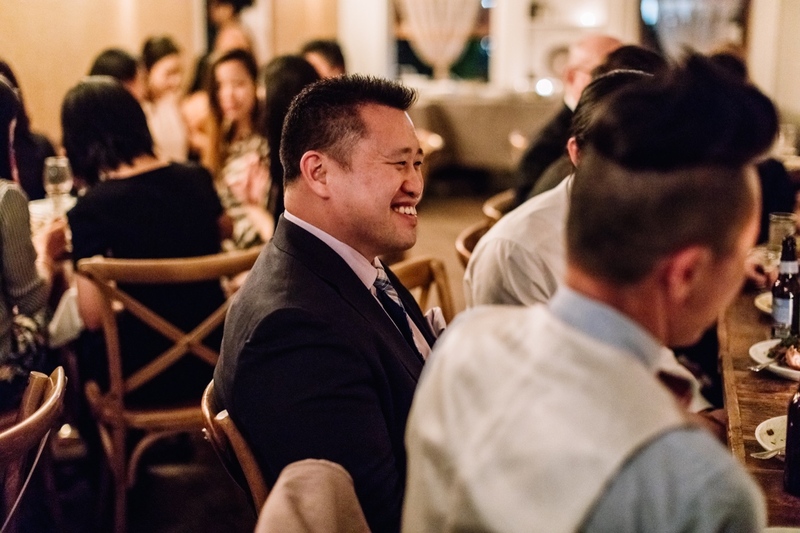 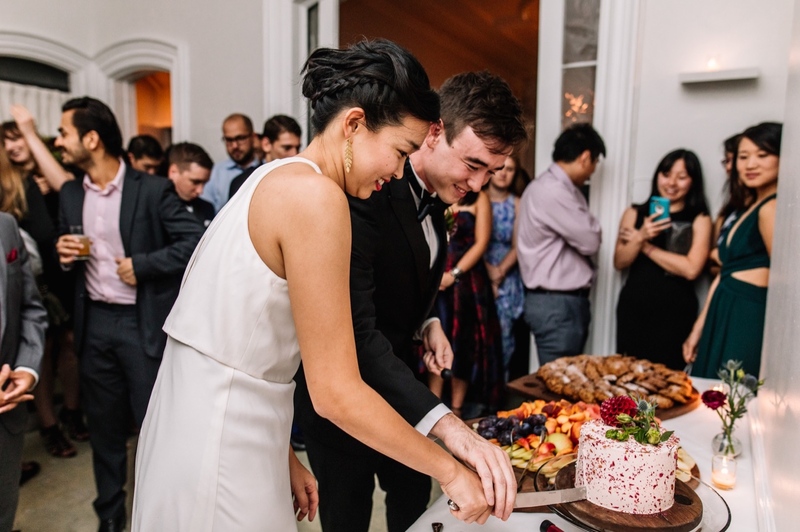 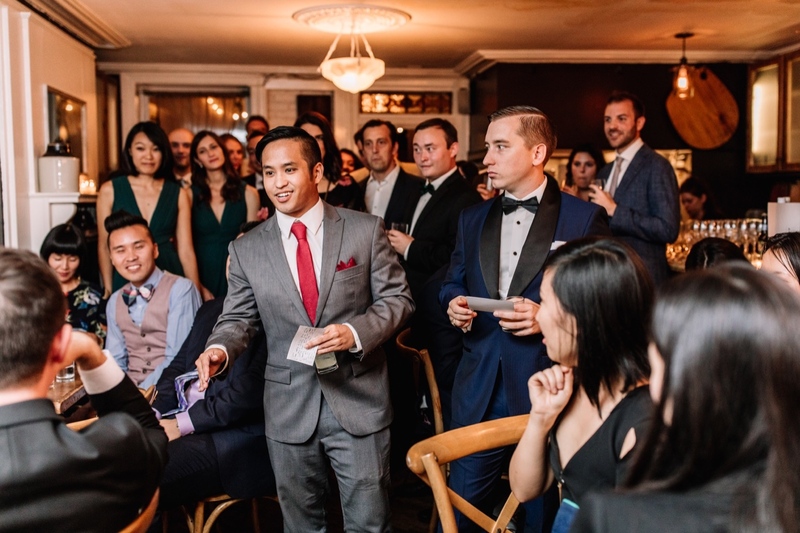 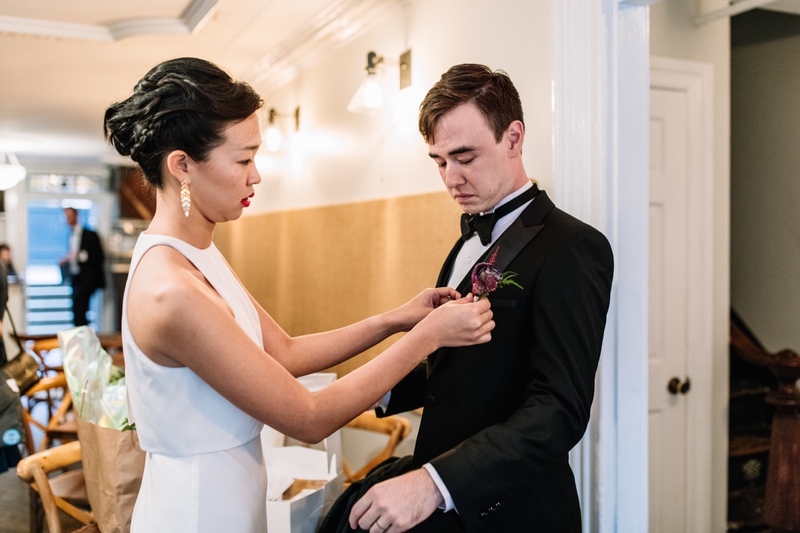 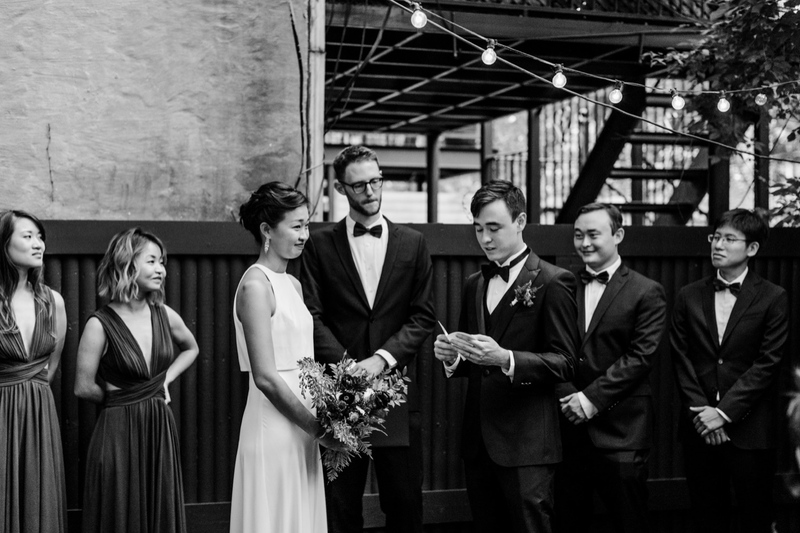 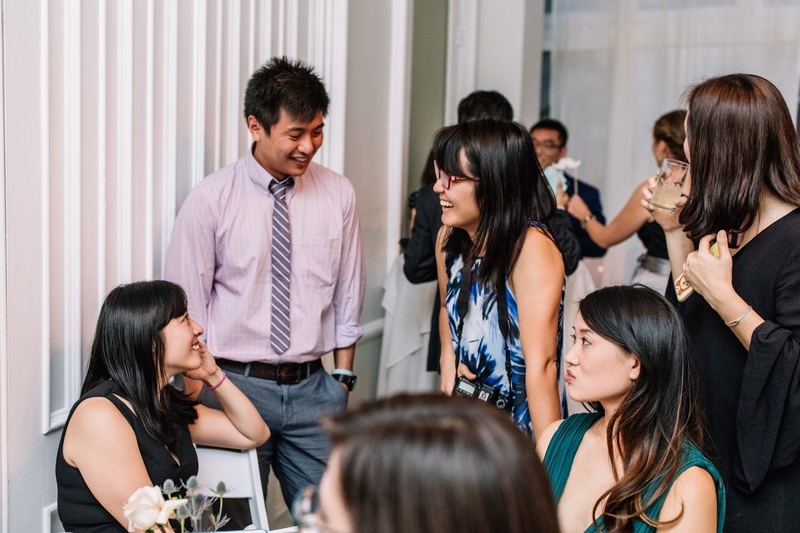 When Amy and Gabe reached out to me about their Maison-May Brooklyn wedding, I was so excited! 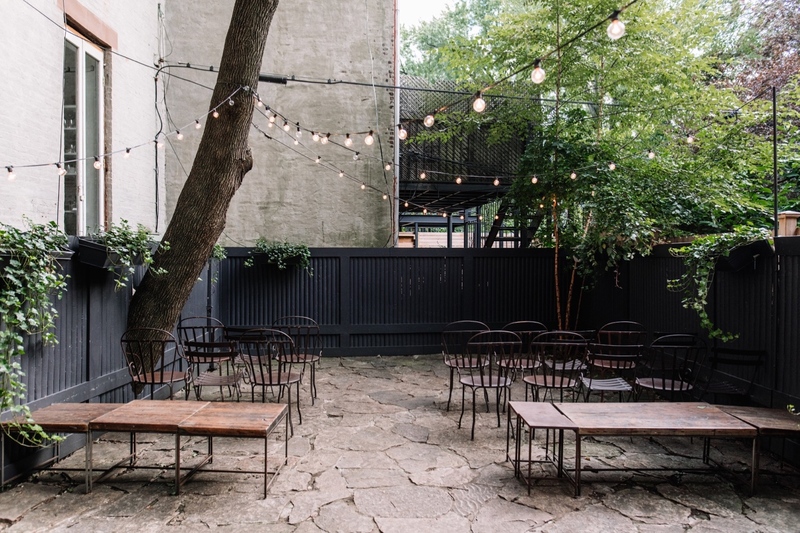 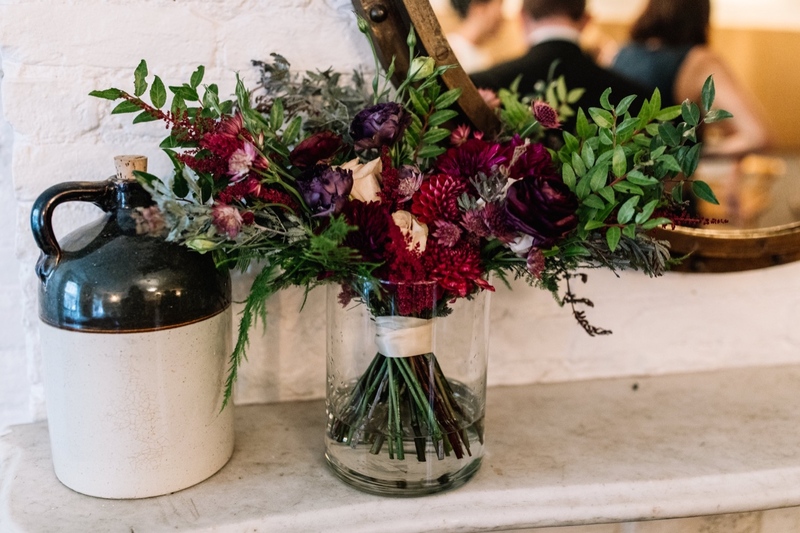 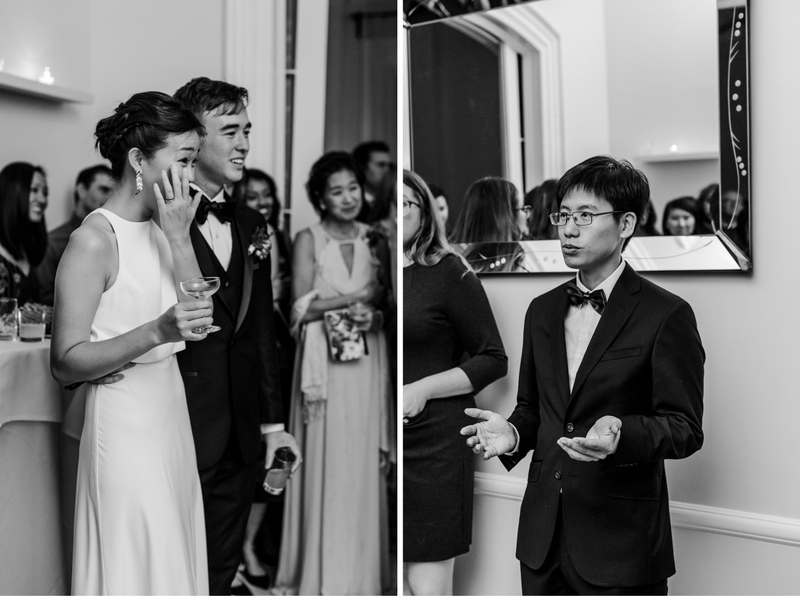 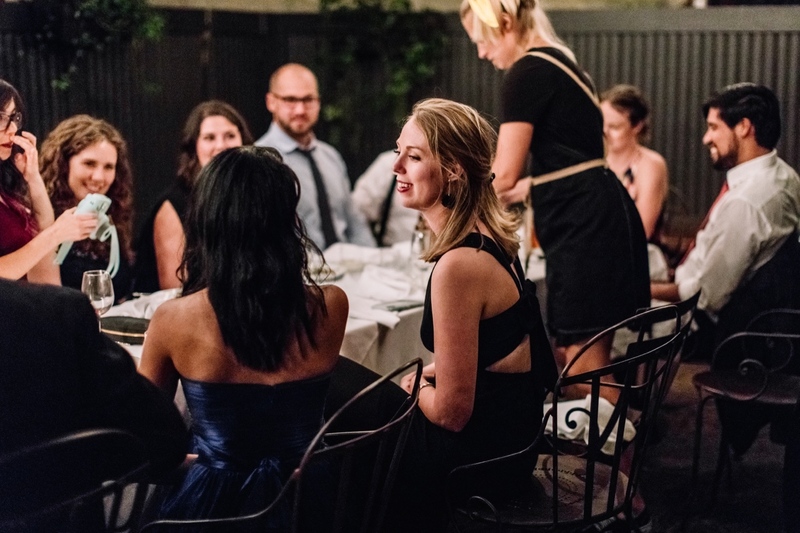 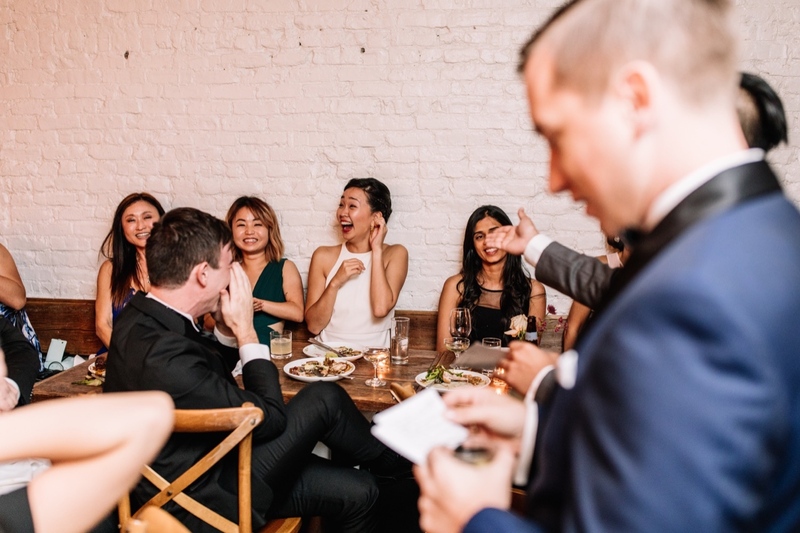 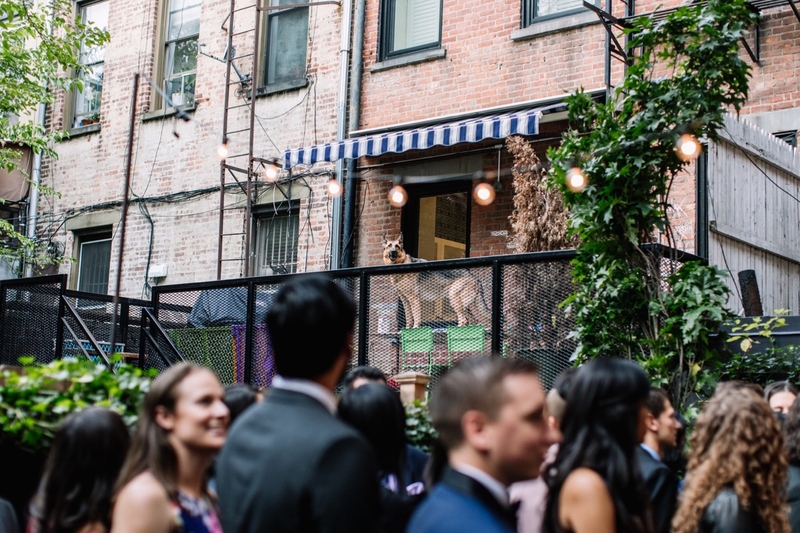 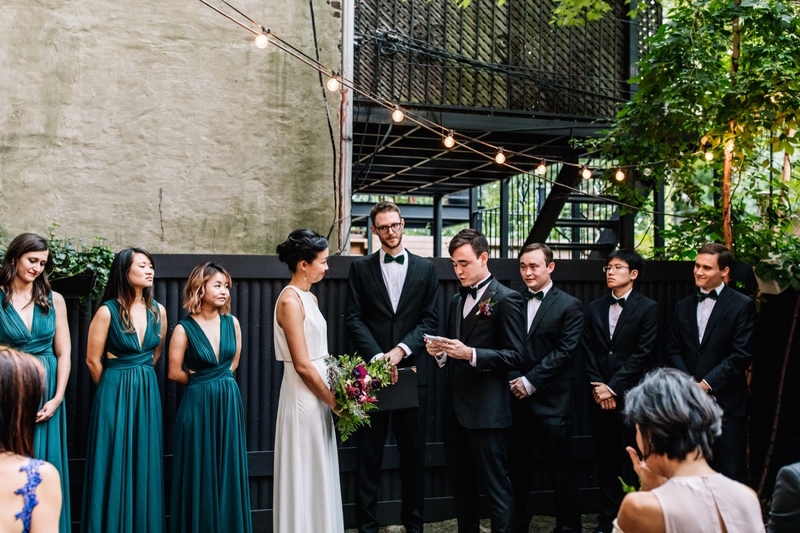 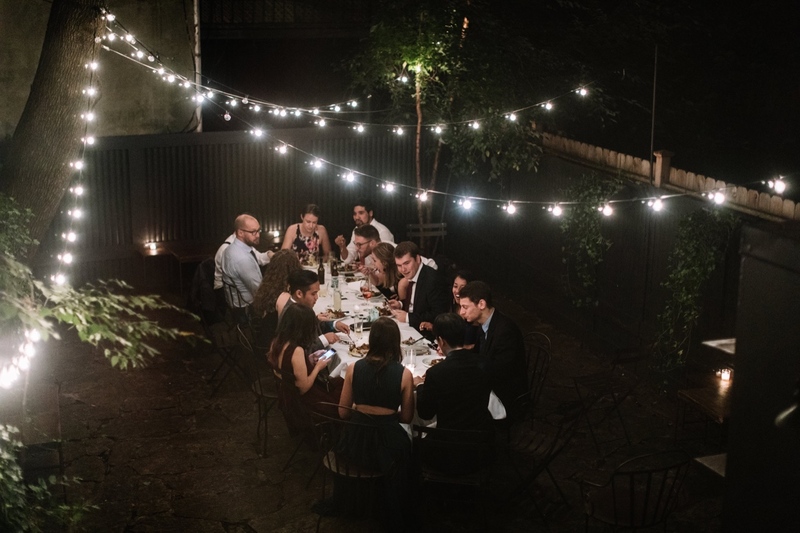 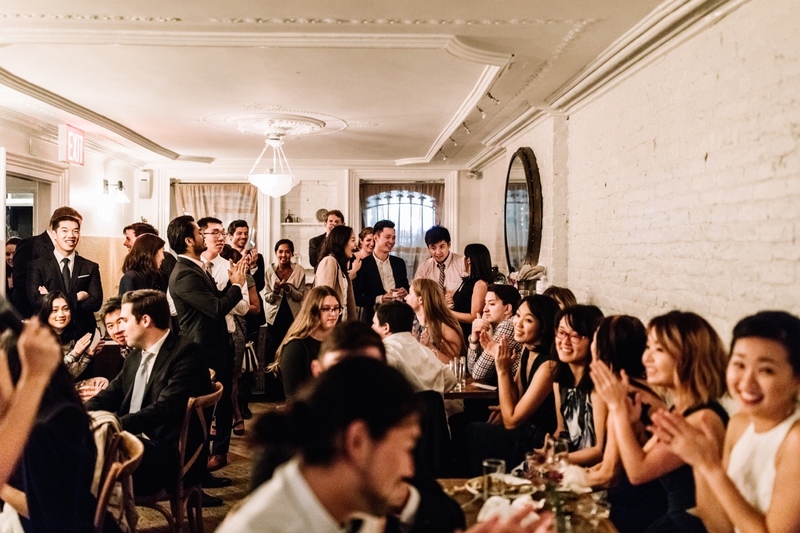 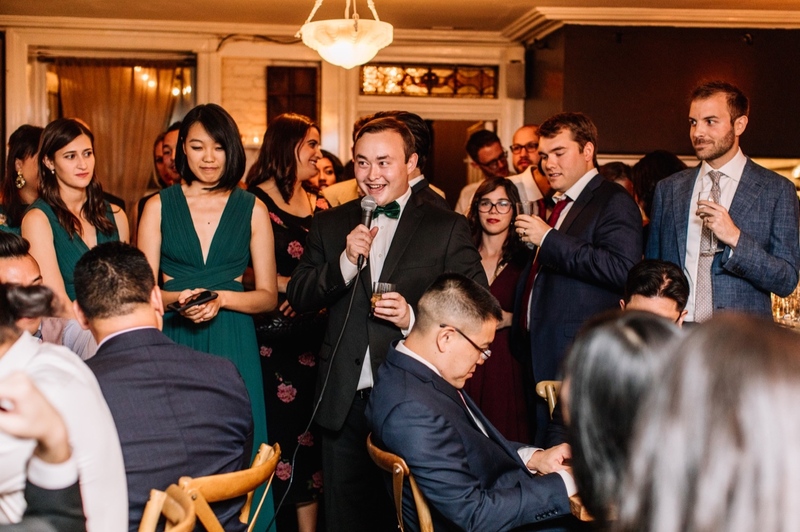 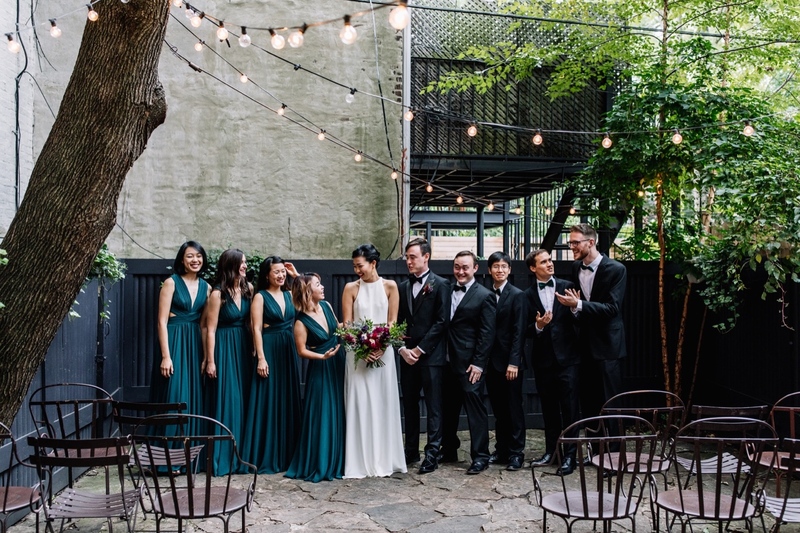 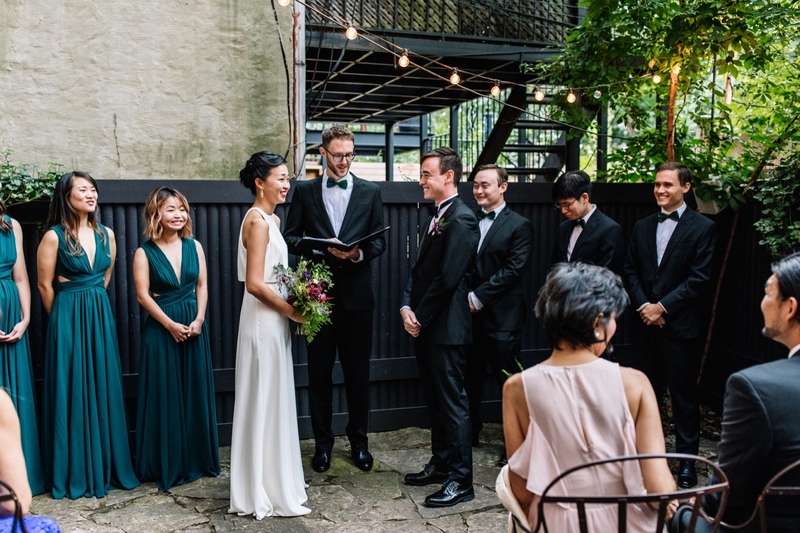 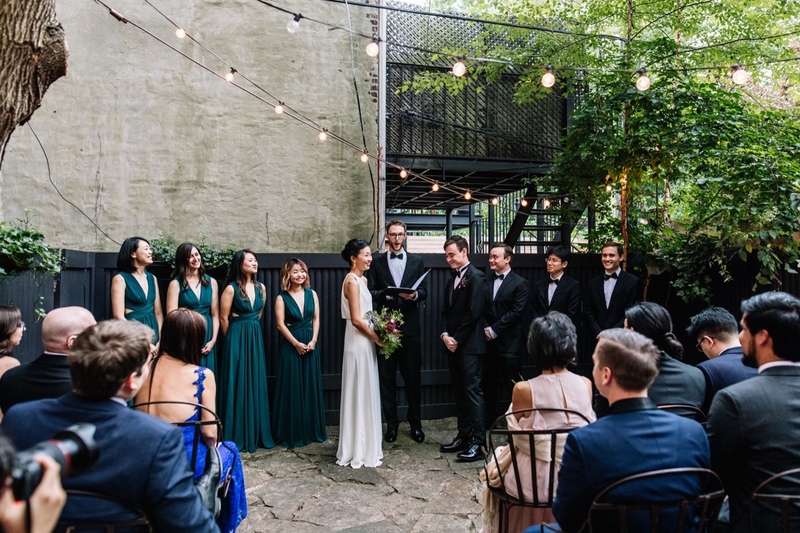 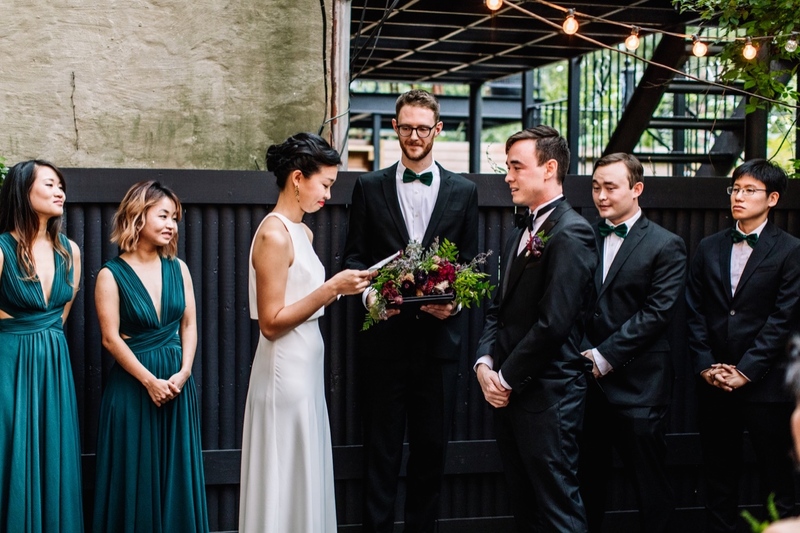 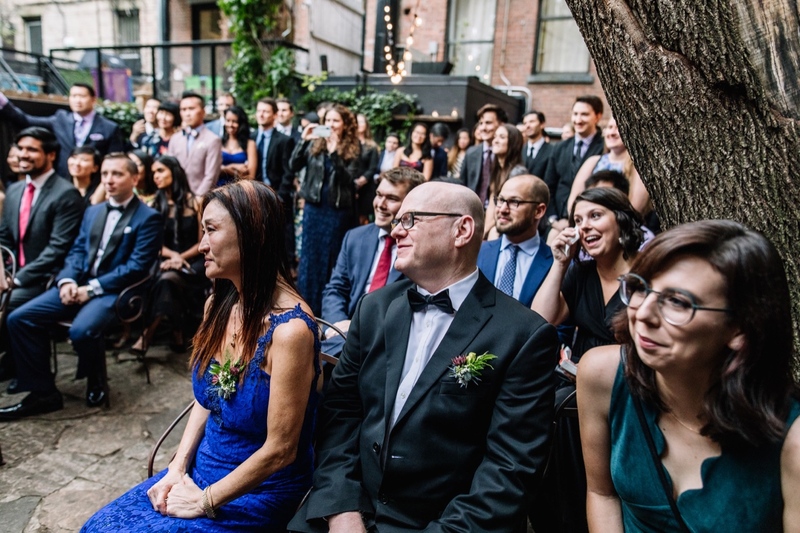 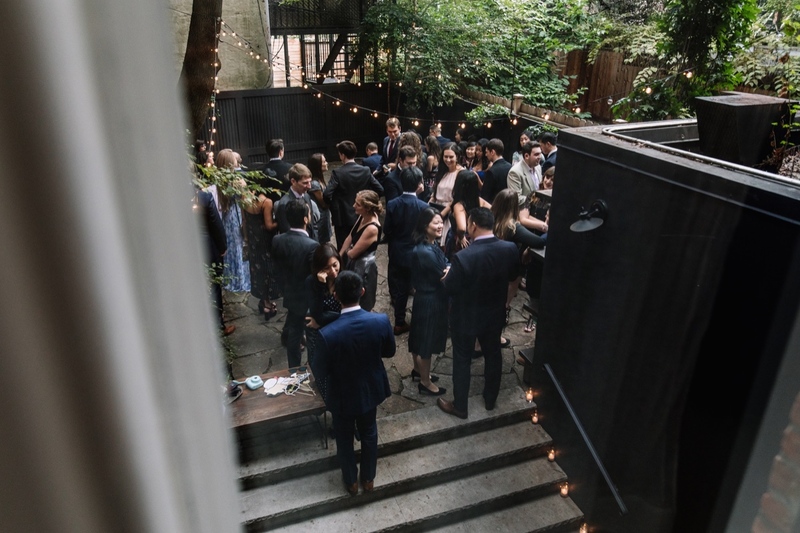 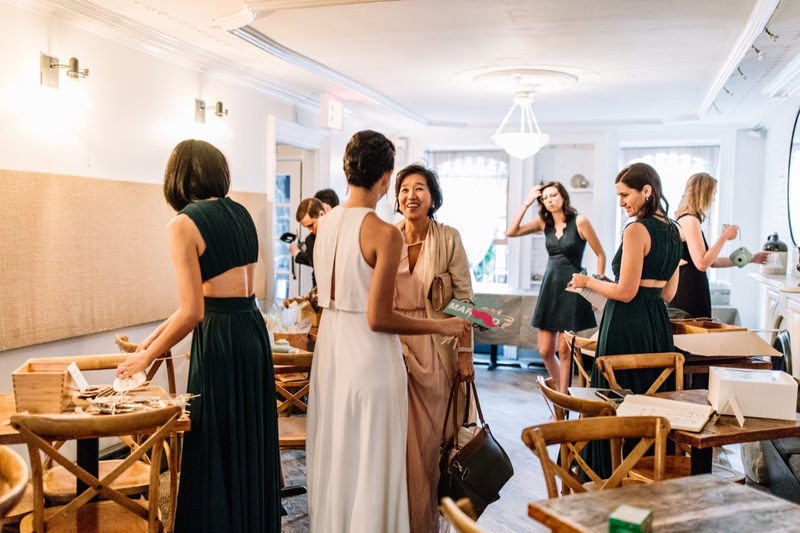 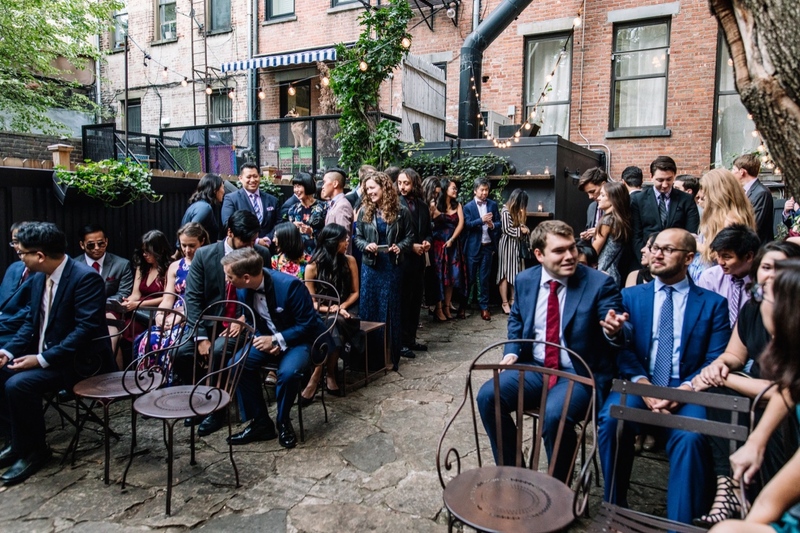 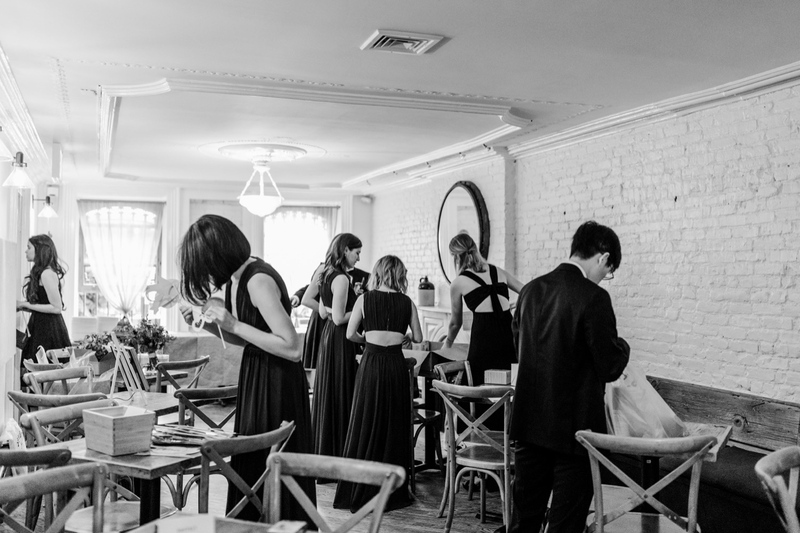 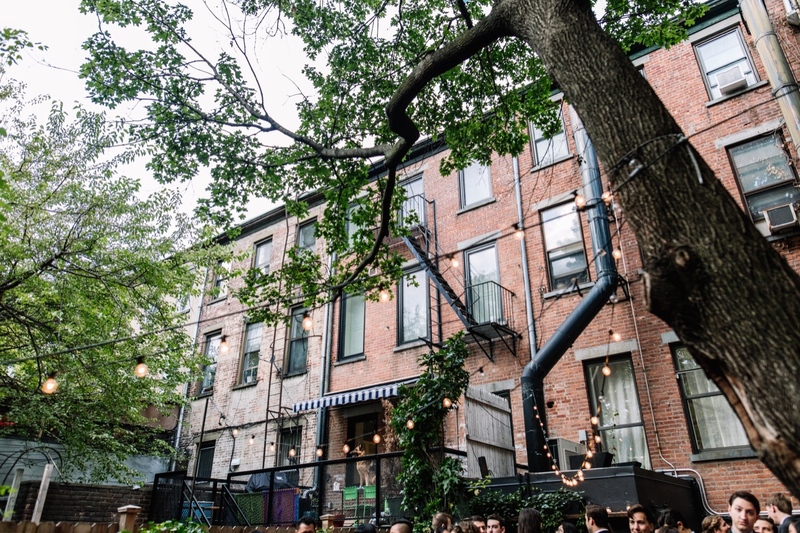 I had heard about this stunning brownstone venue in Fort Greene, and finally I was getting to work there. 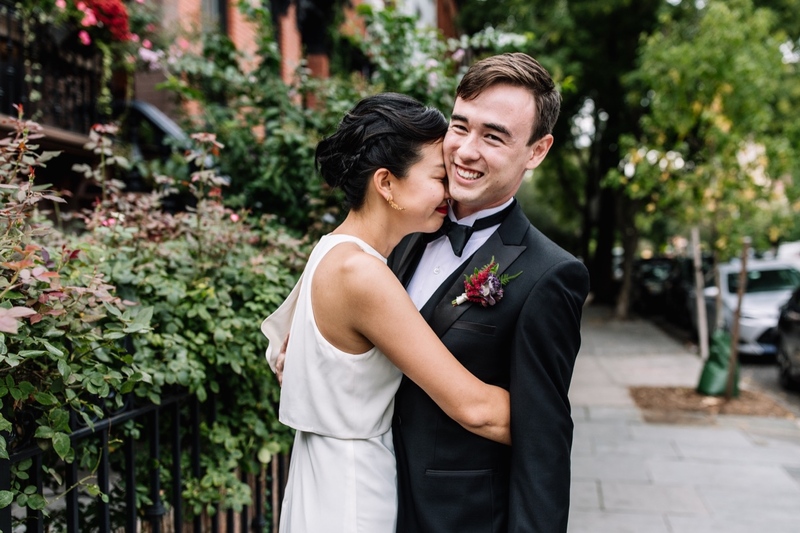 We set up a Skype date and they told me about their love story, which is hilarious and involves lots of memorable twists like a random tourist who third wheeled their first date, and passing out while getting wedding ring tattoos. 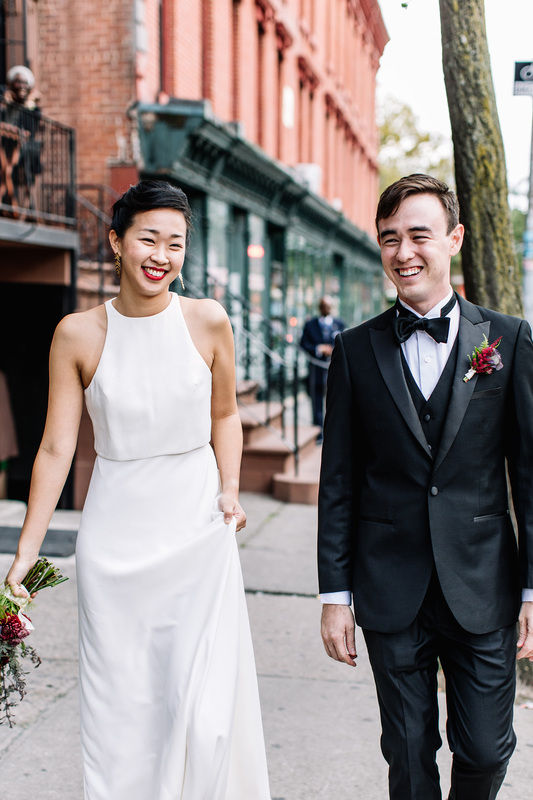 (Amy and Gabe, please write a rom-com about your lives, ASAP!). 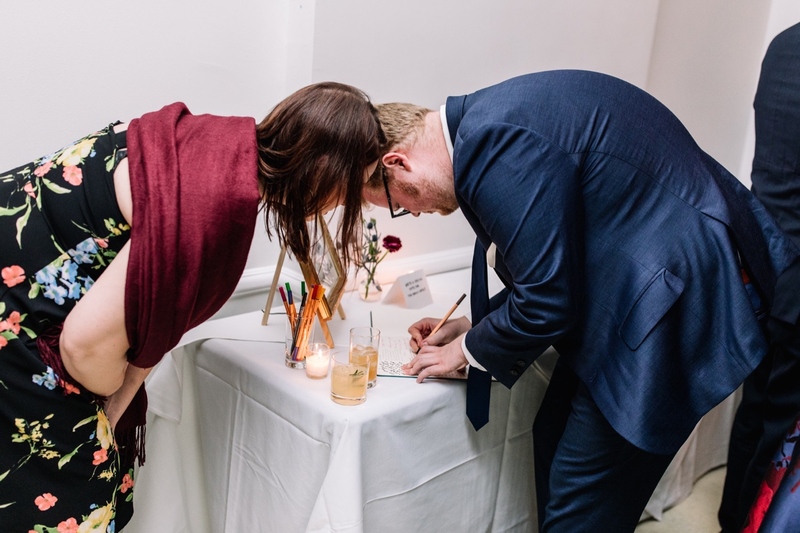 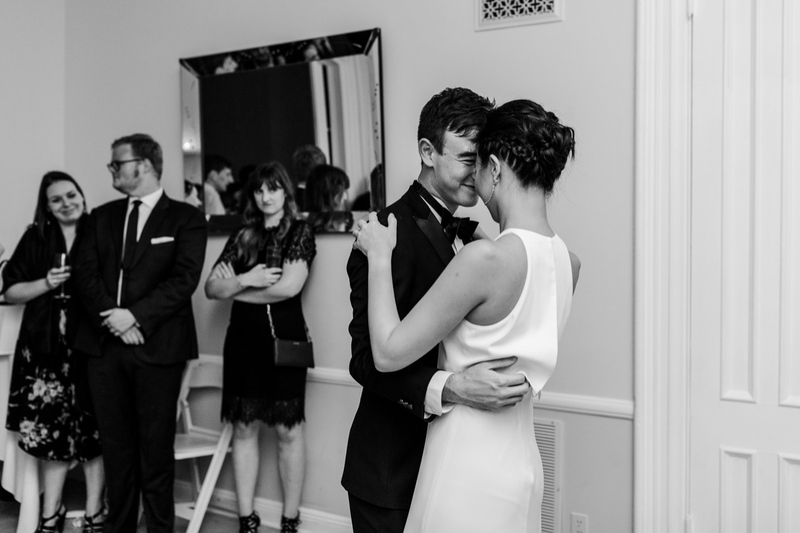 On their wedding day, I was freshly returned from my Iceland trip and the warmth of not-quite New York City fall was a welcome change. 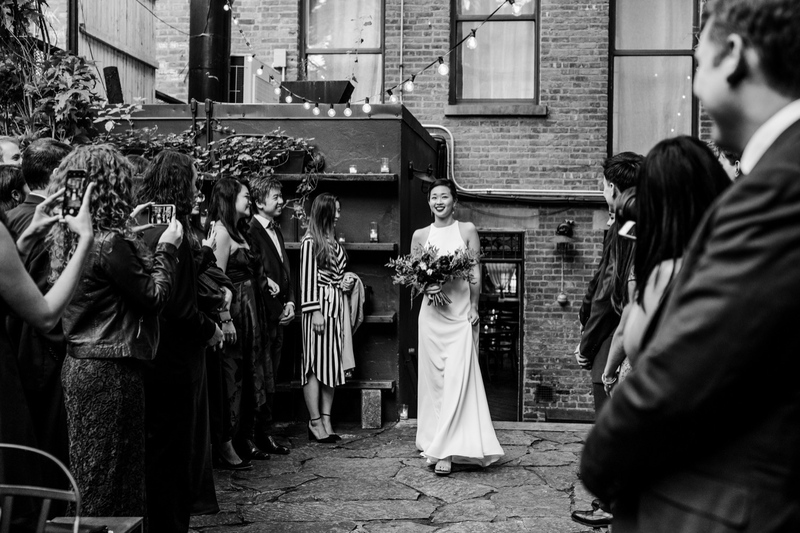 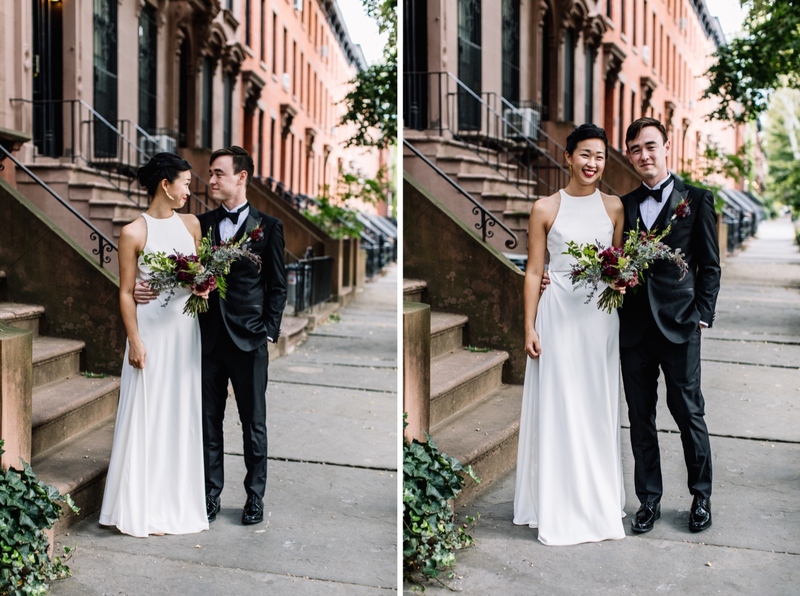 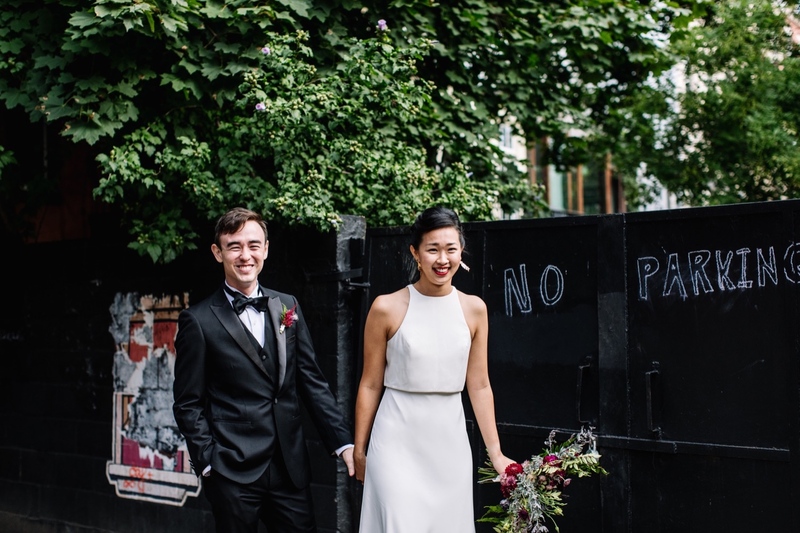 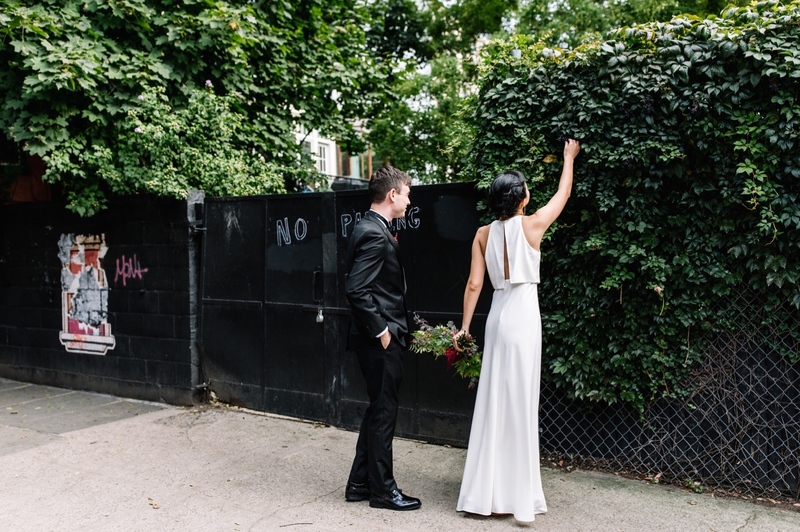 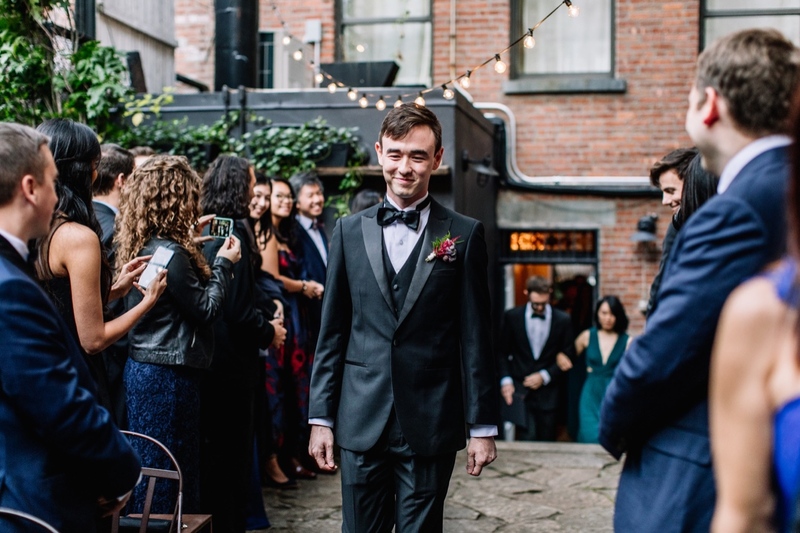 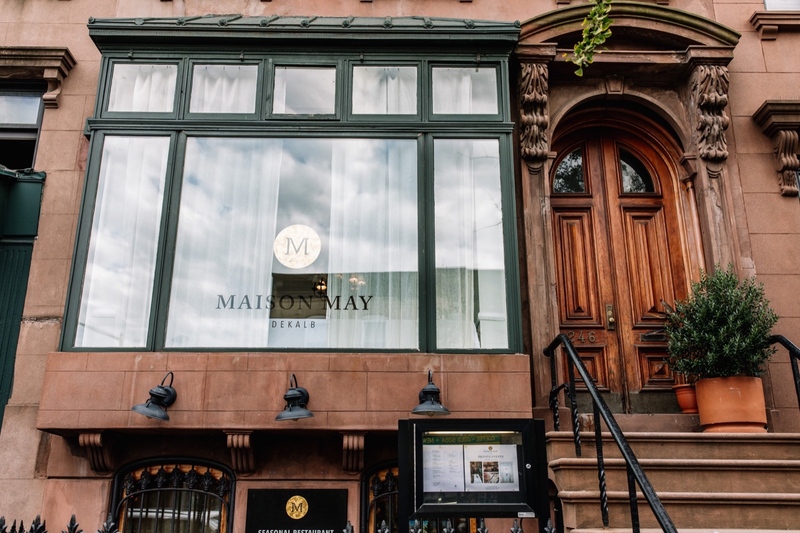 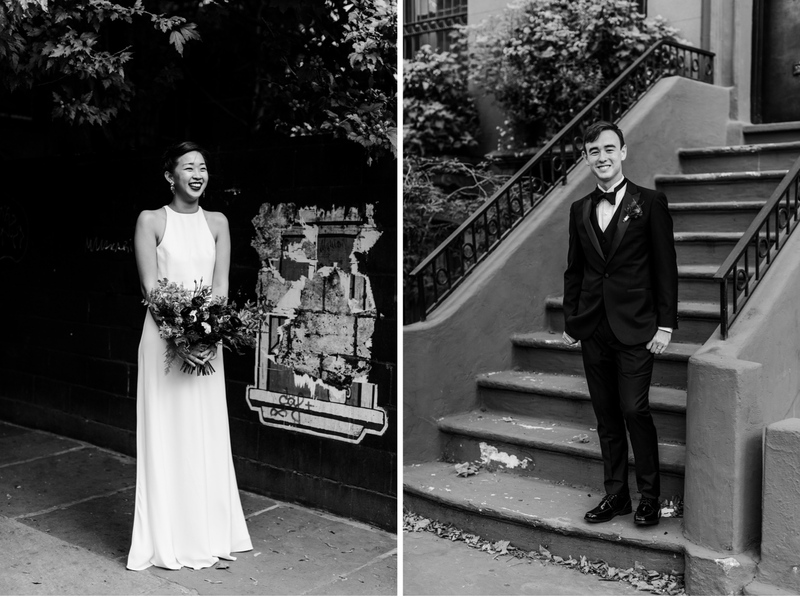 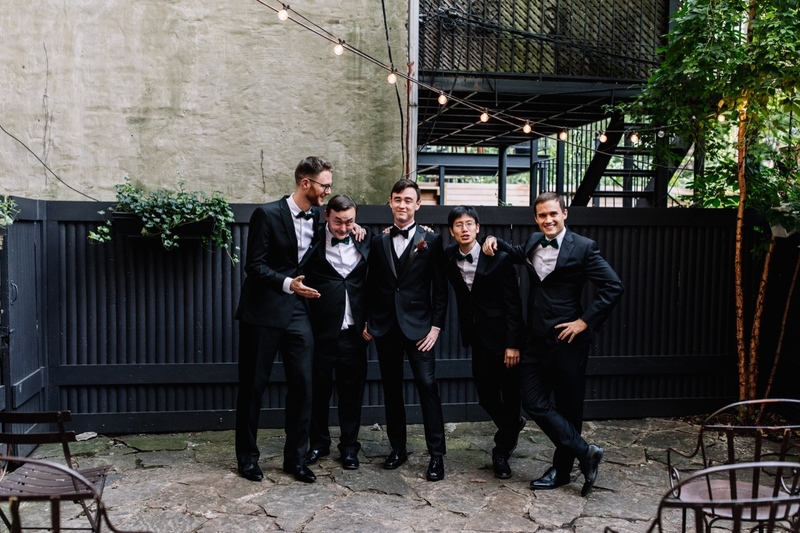 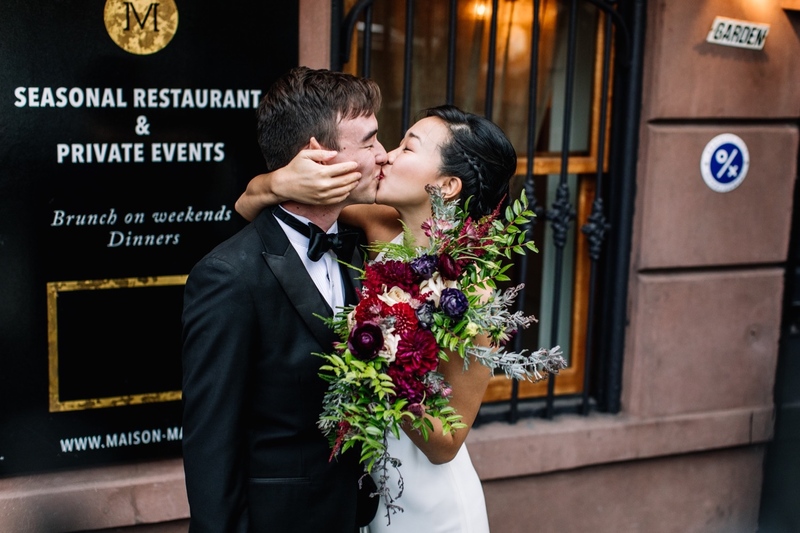 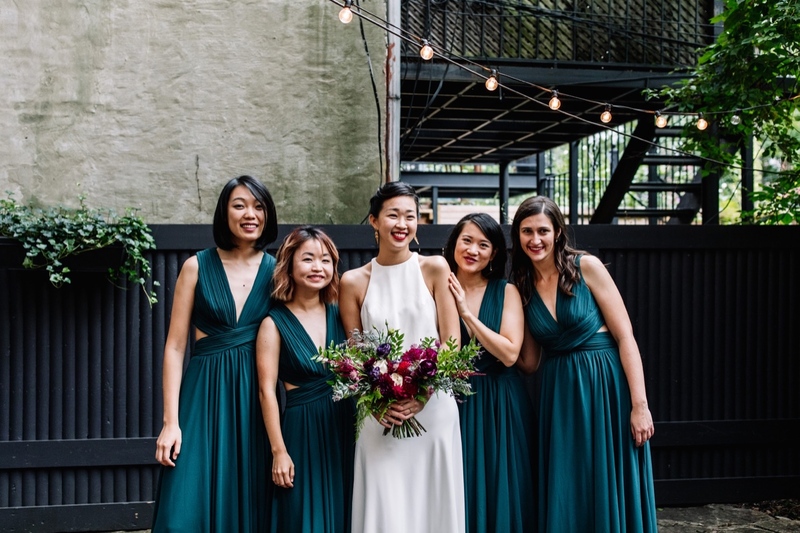 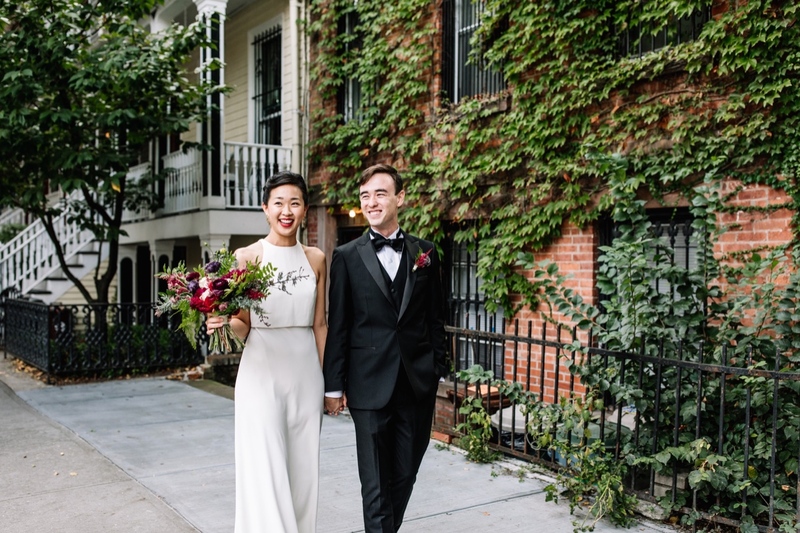 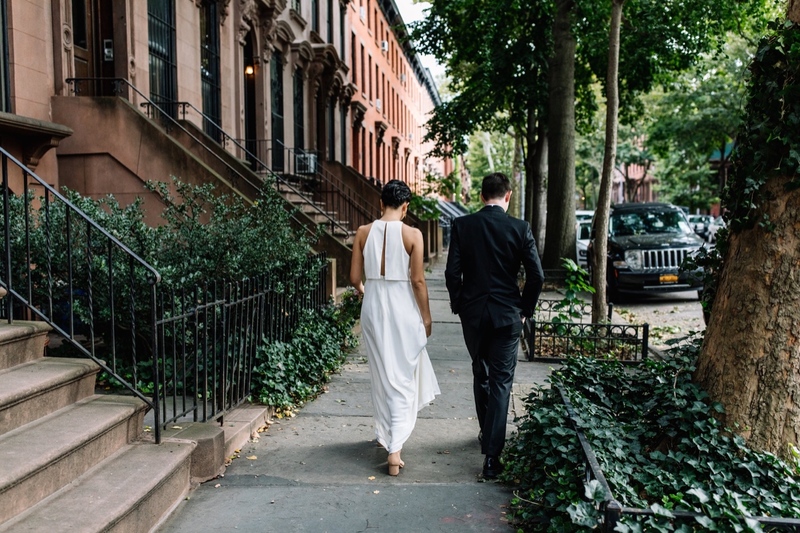 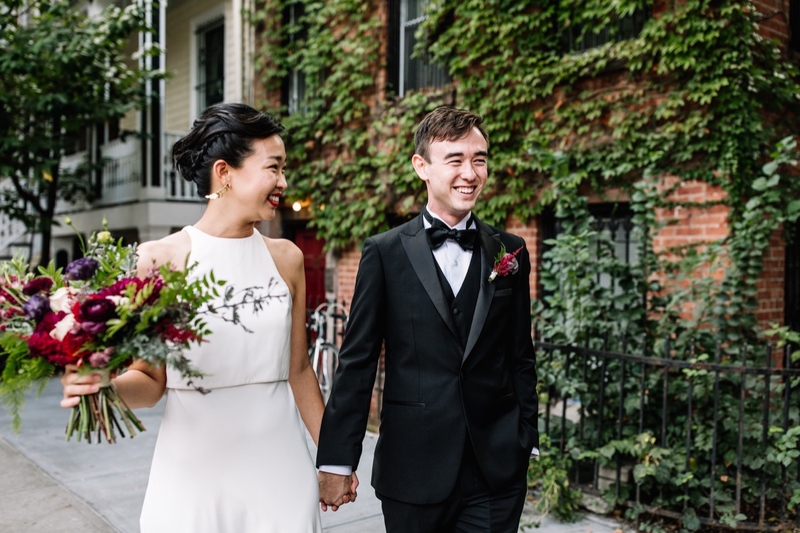 We started off wandering the streets near Fort Greene park, stopping near interesting walls and rows of brownstones, meeting up with the wedding party back at Maison-May. 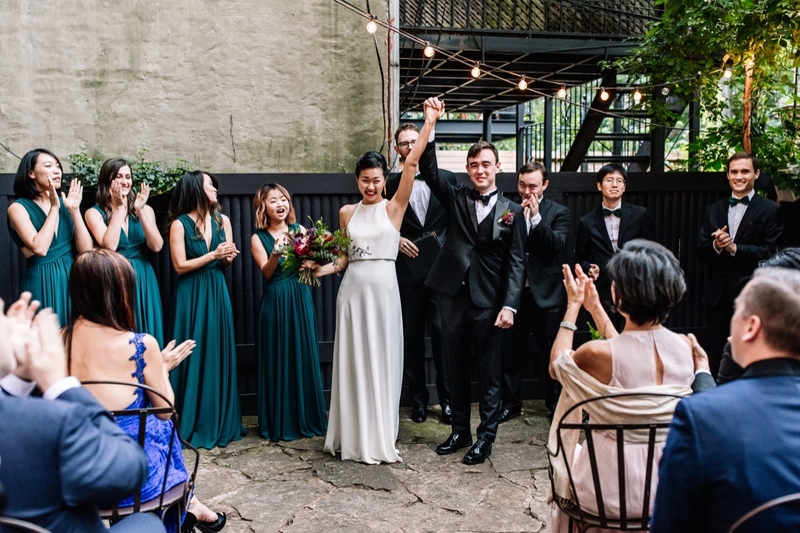 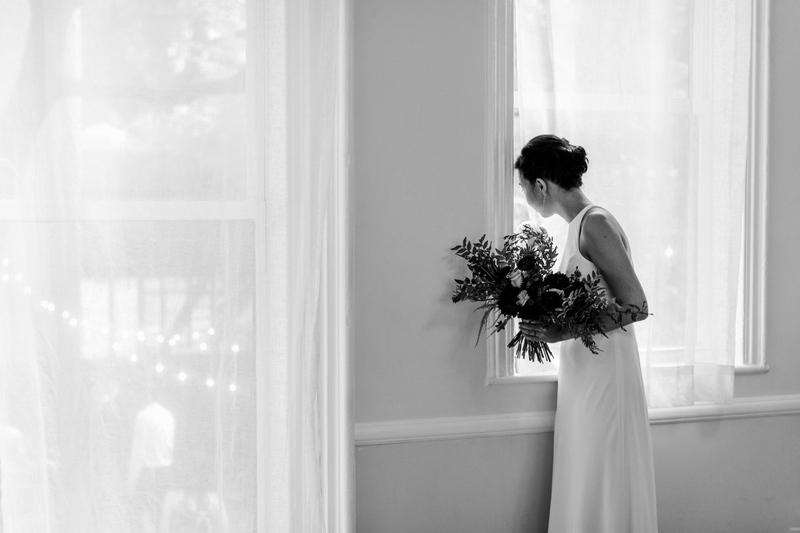 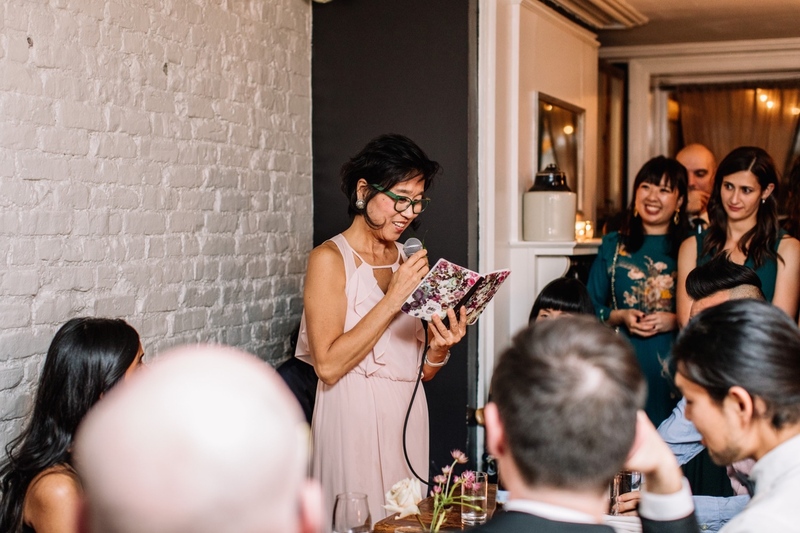 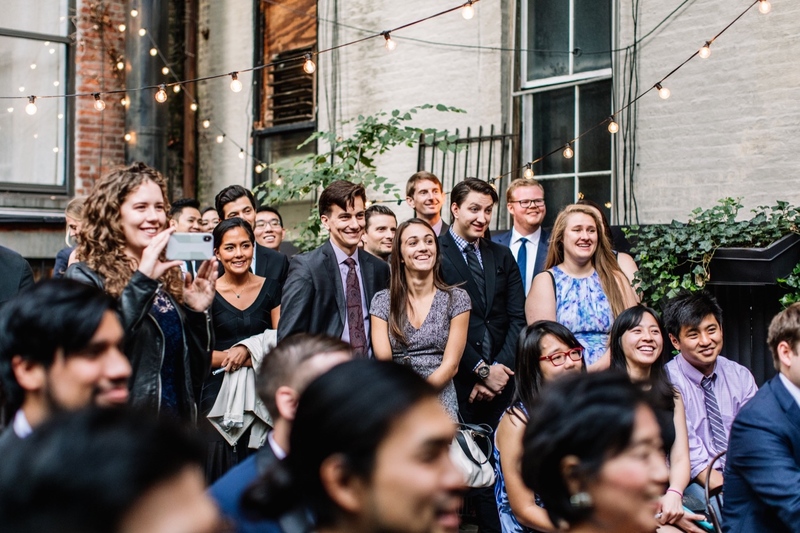 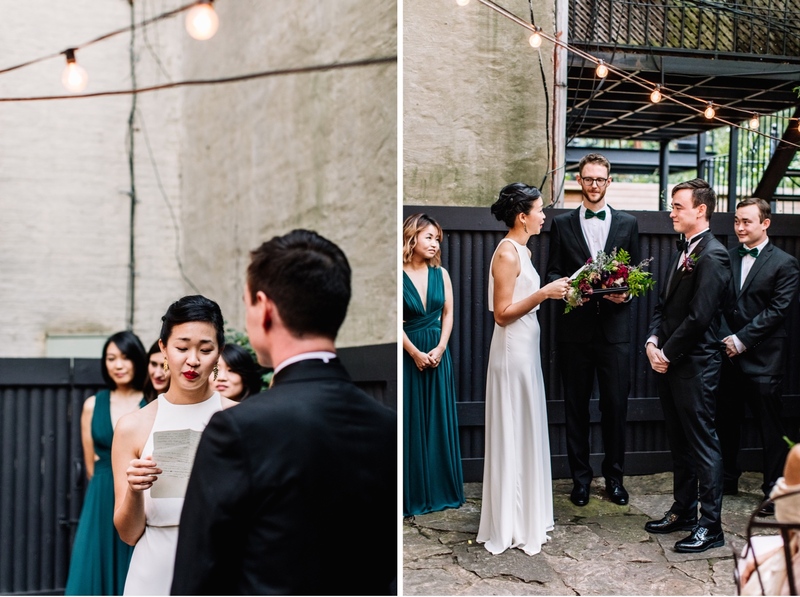 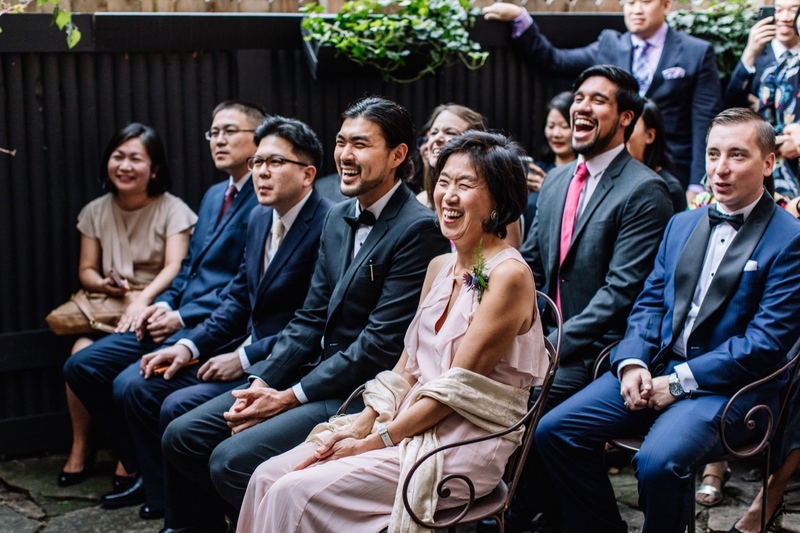 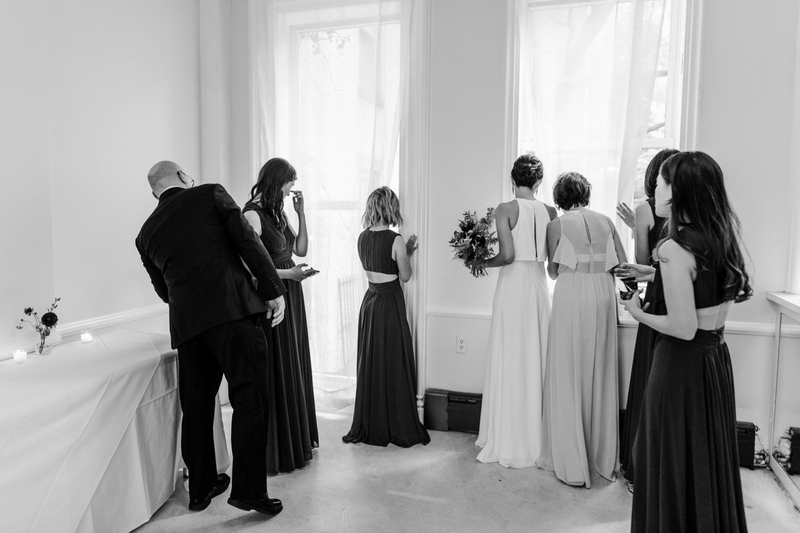 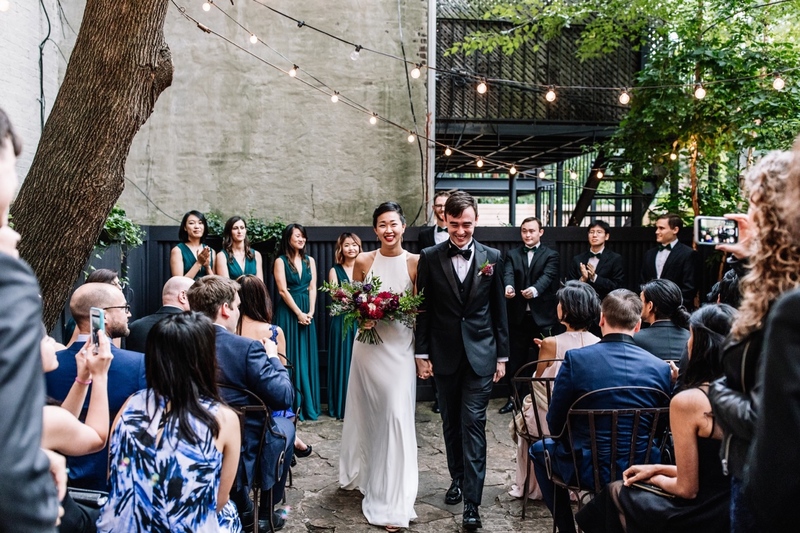 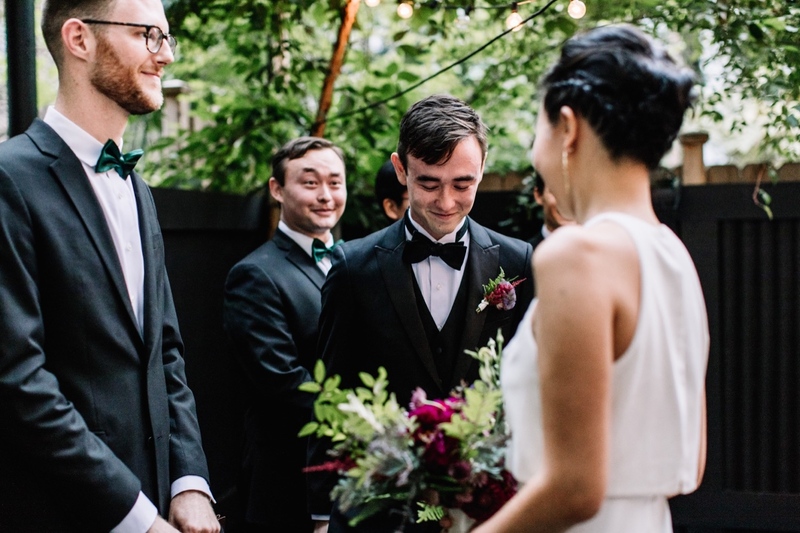 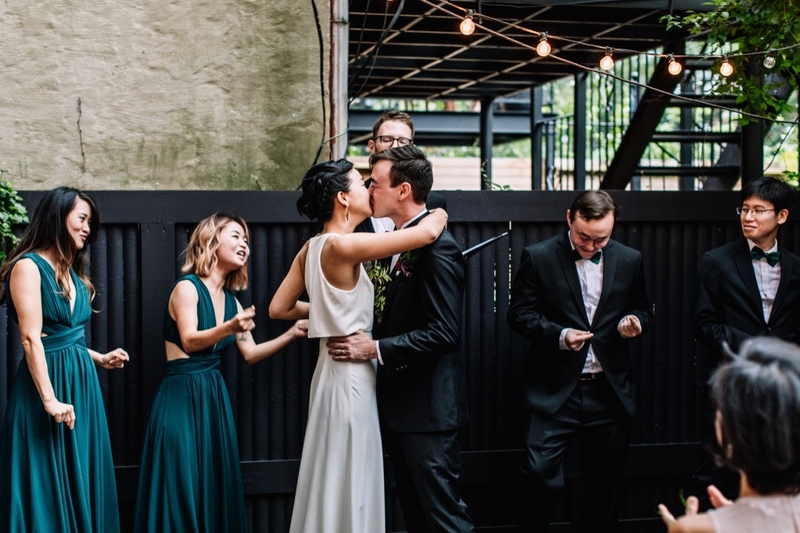 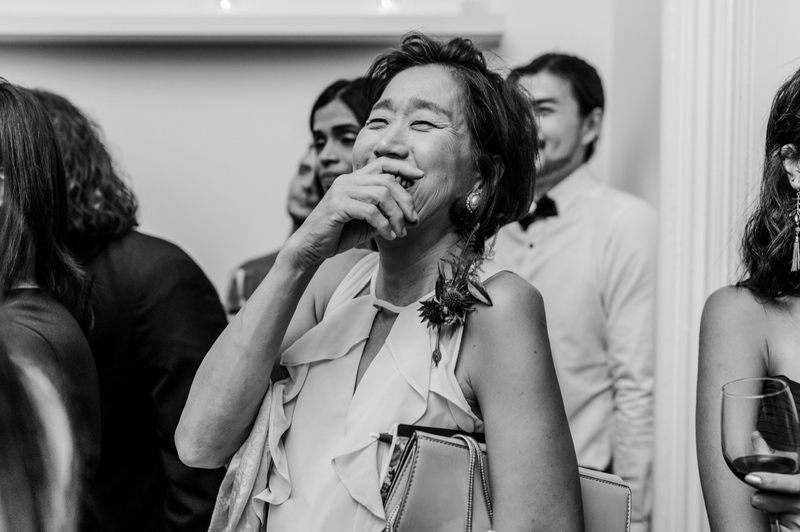 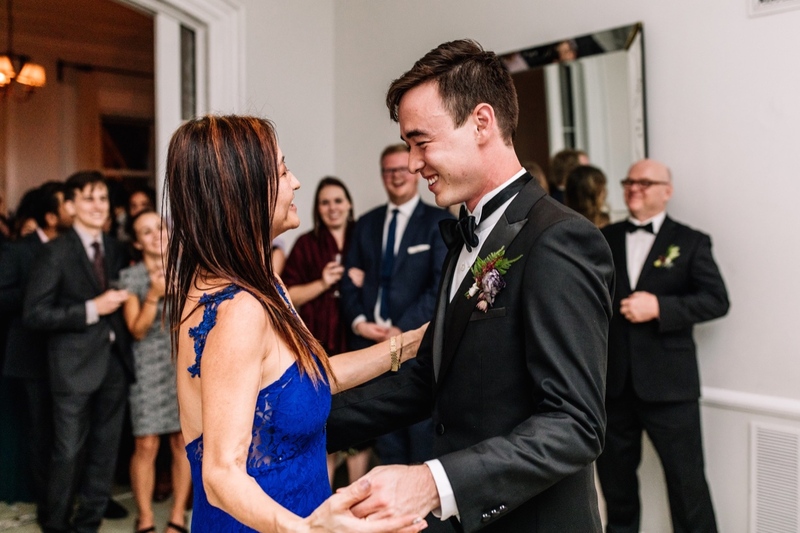 Amy watched out the upstairs window as the courtyard filled up for a ceremony that was filled with lots of laughter and a crowd that couldn’t stop smiling. 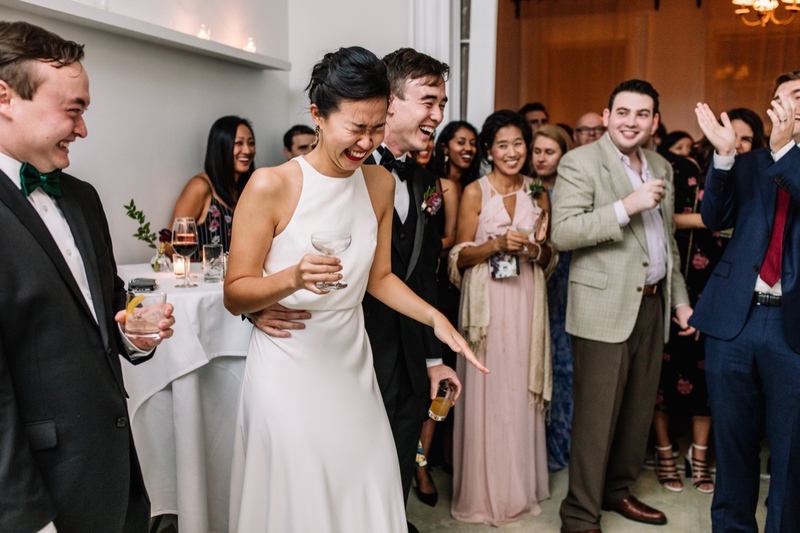 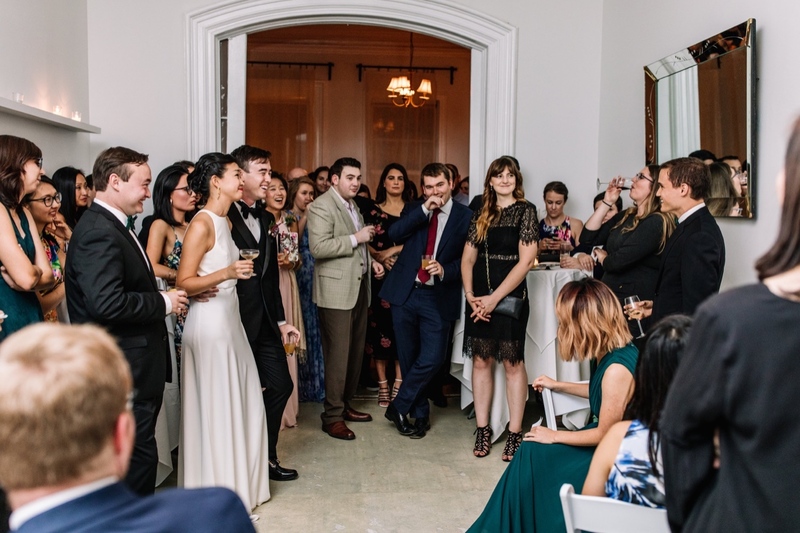 The second floor with its all-white decor was the perfect spot for cocktails and toasts. 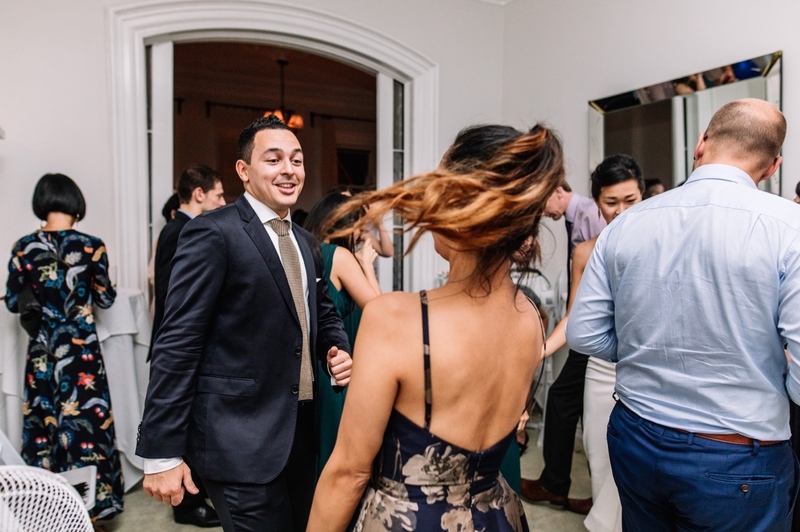 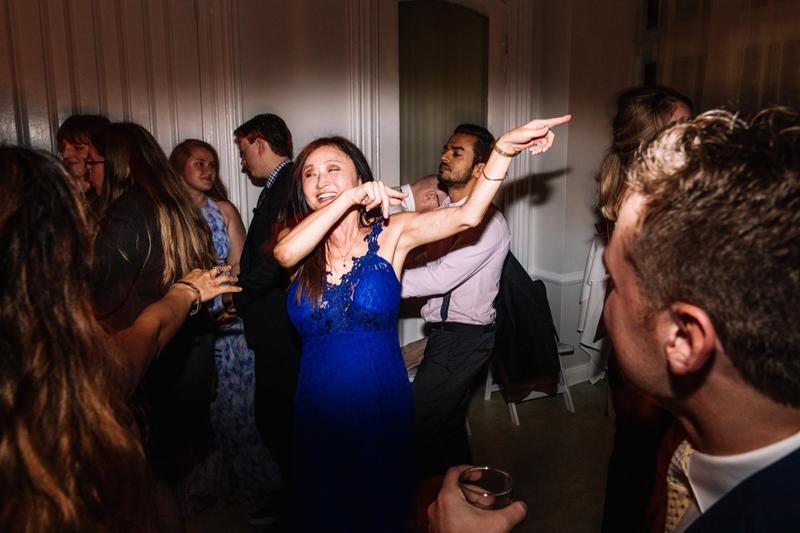 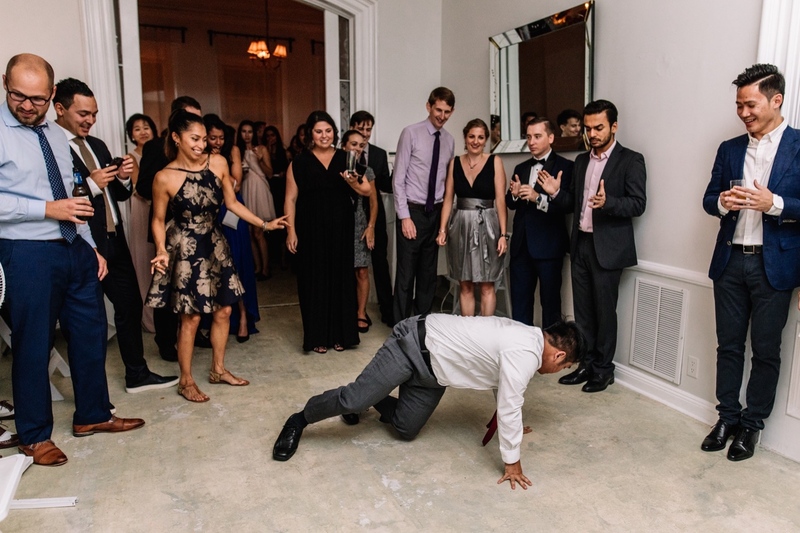 After dinner (the best pasta EVER), a round of “roasts” led into dancing the night away. 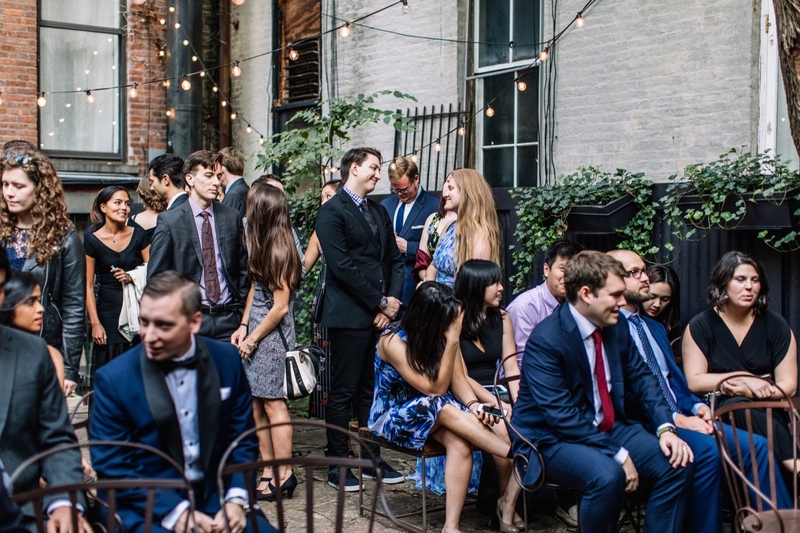 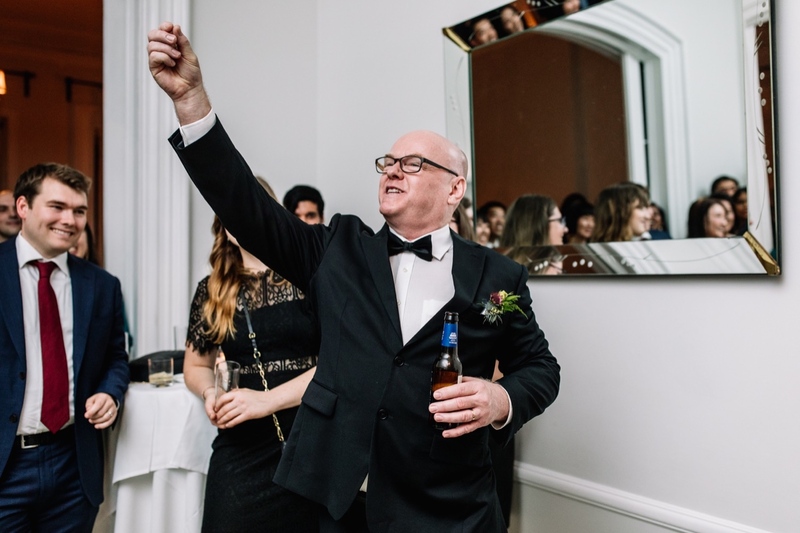 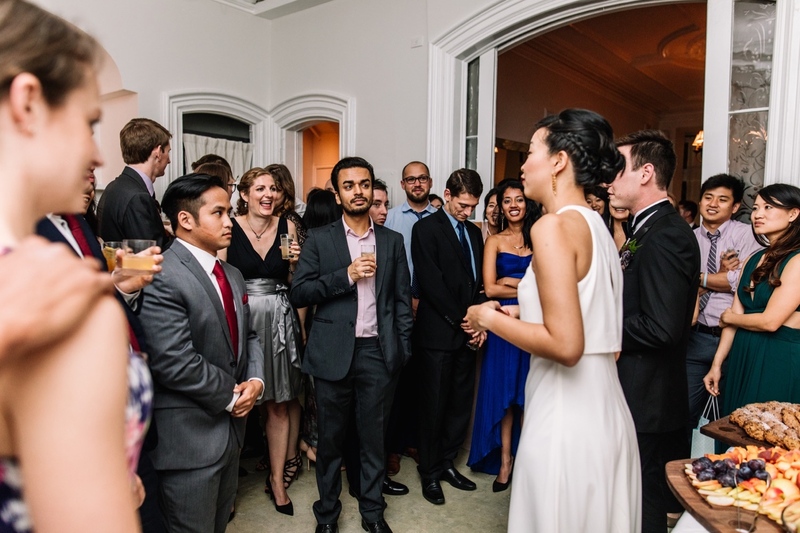 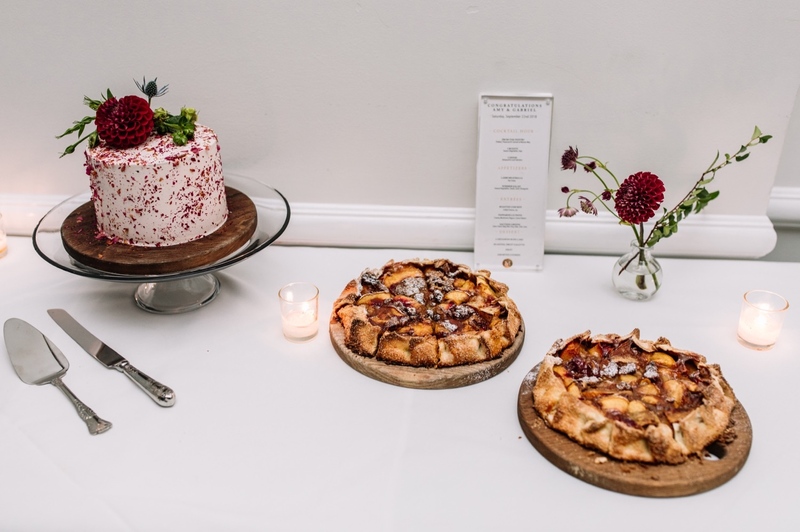 I can’t wait to return to Maison-May in Brooklyn for another wedding this summer!